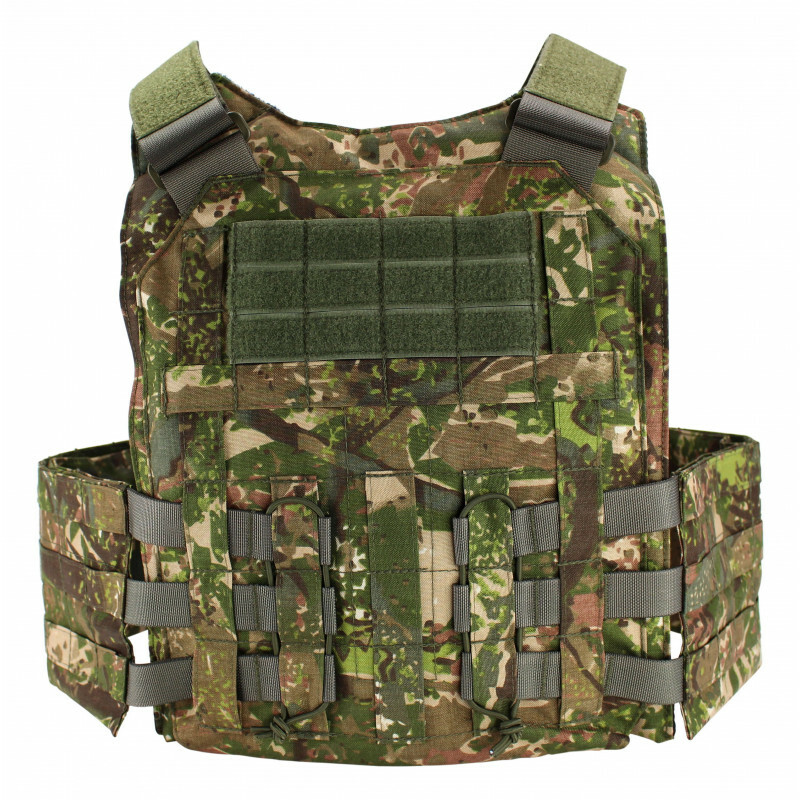 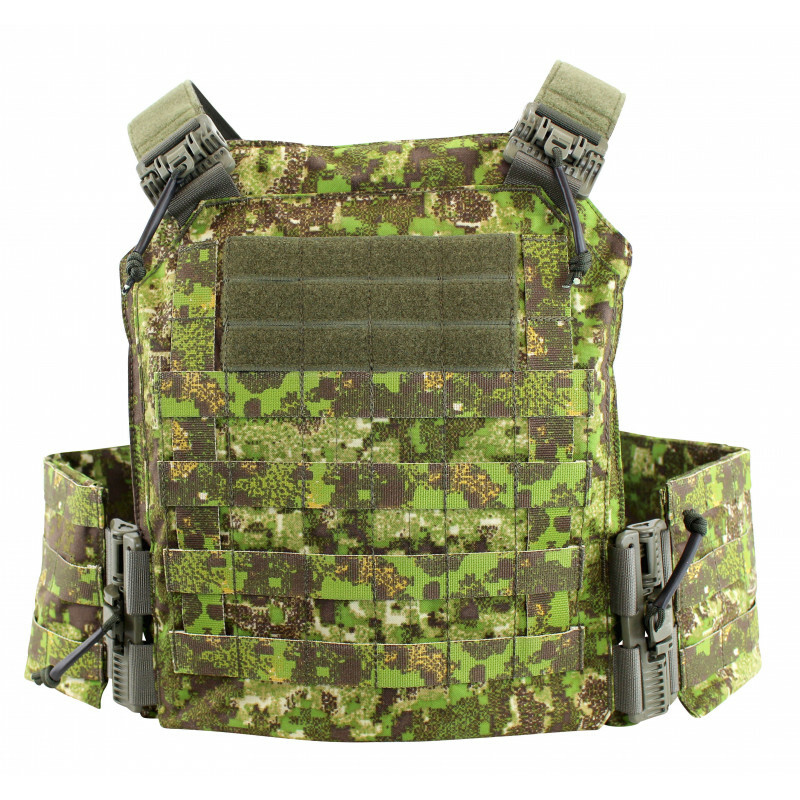 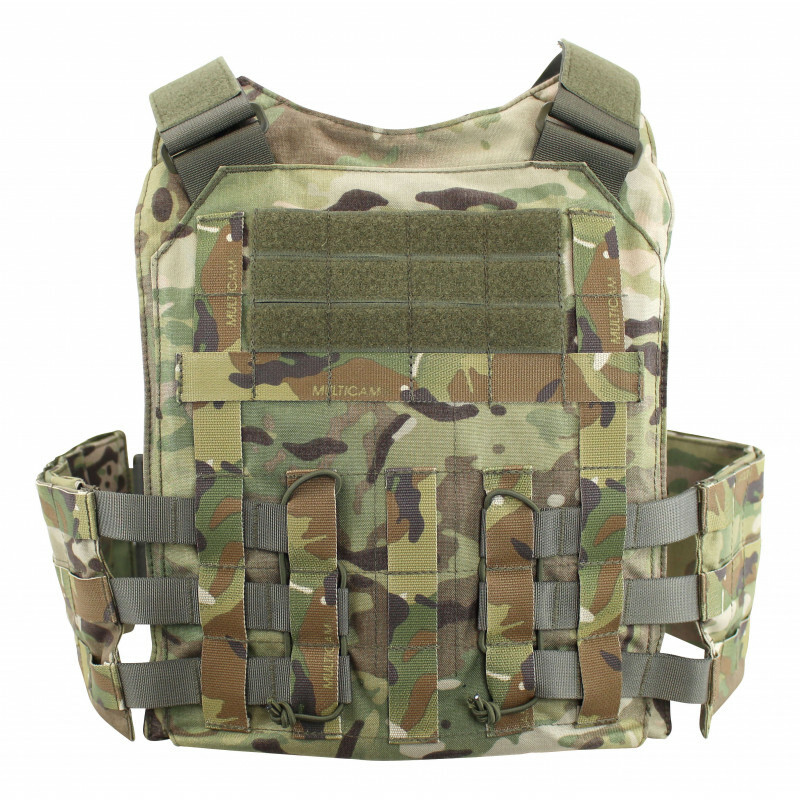 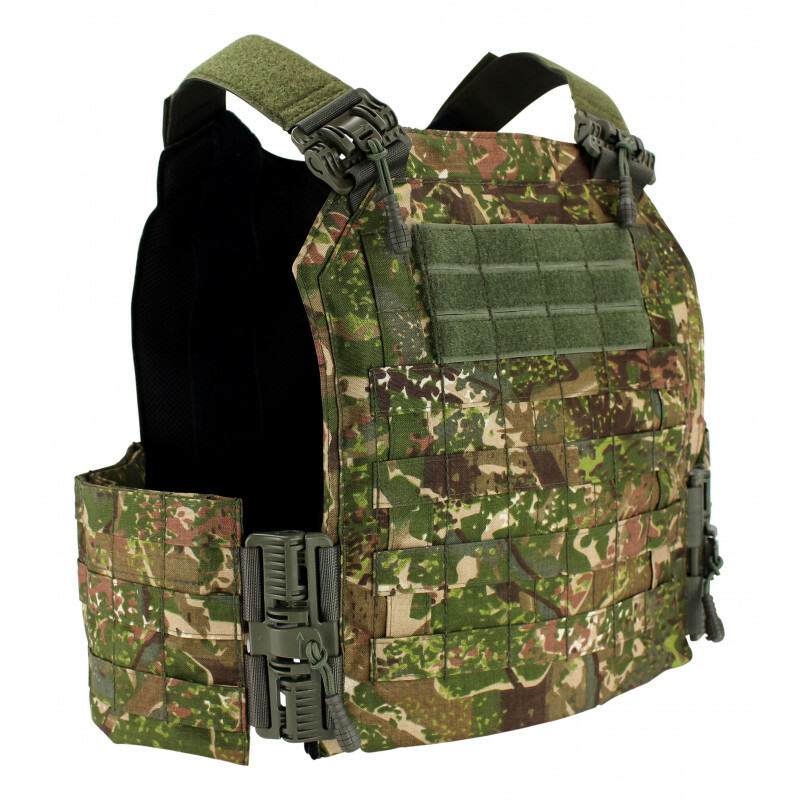 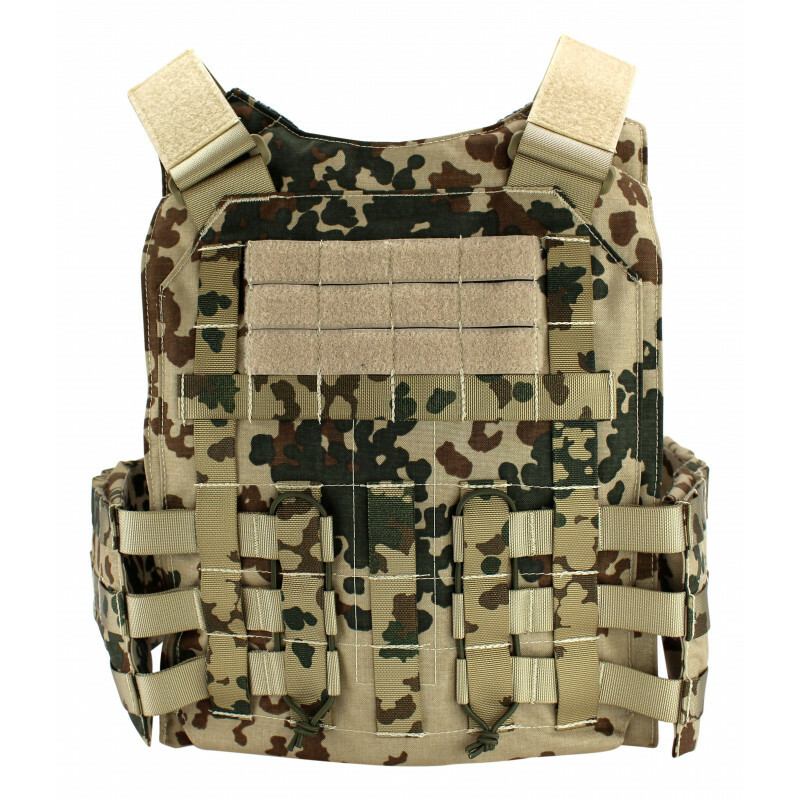 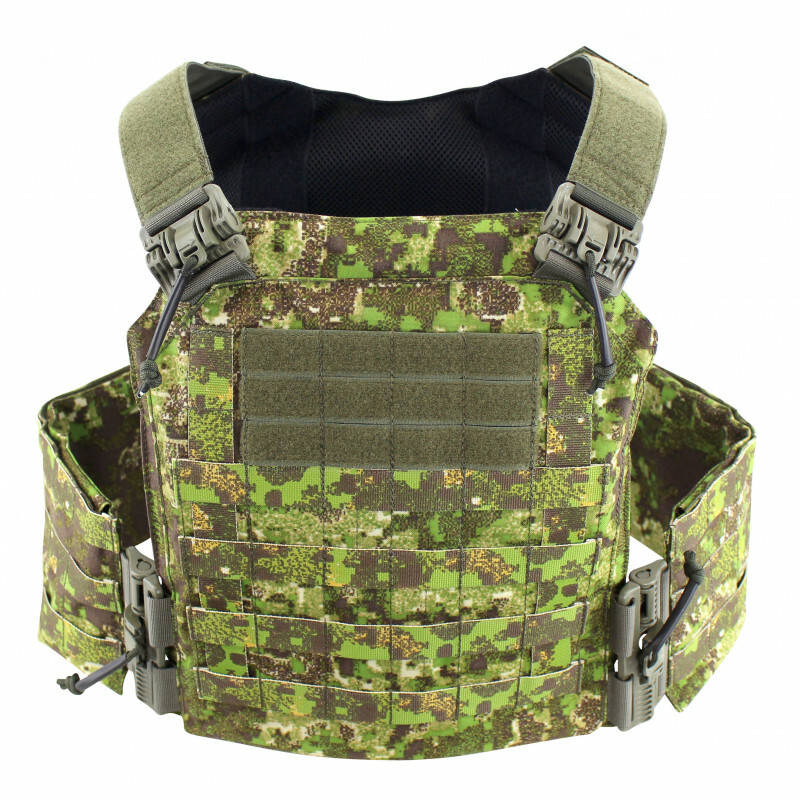 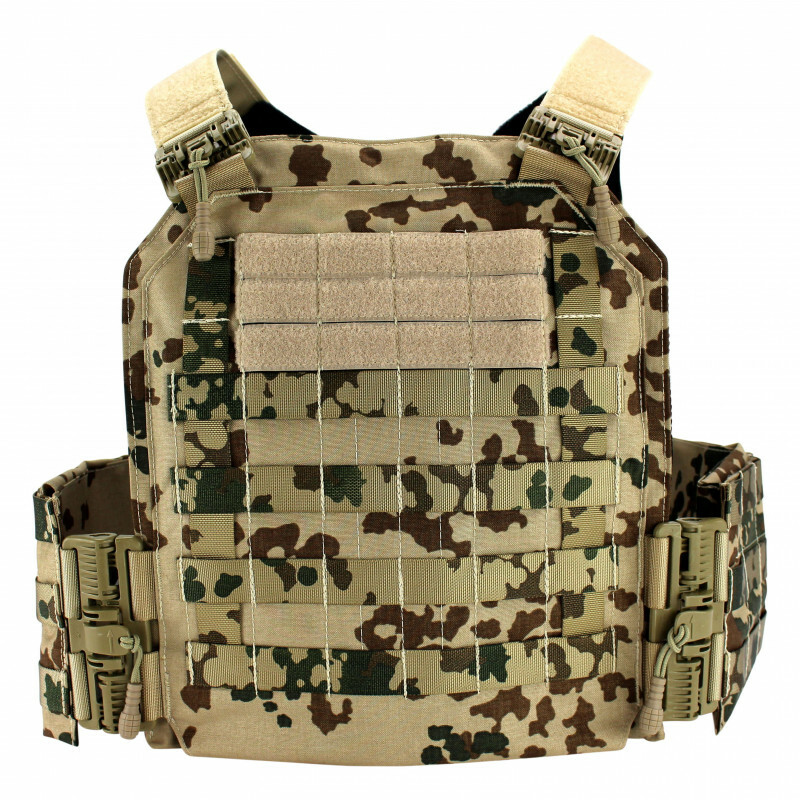 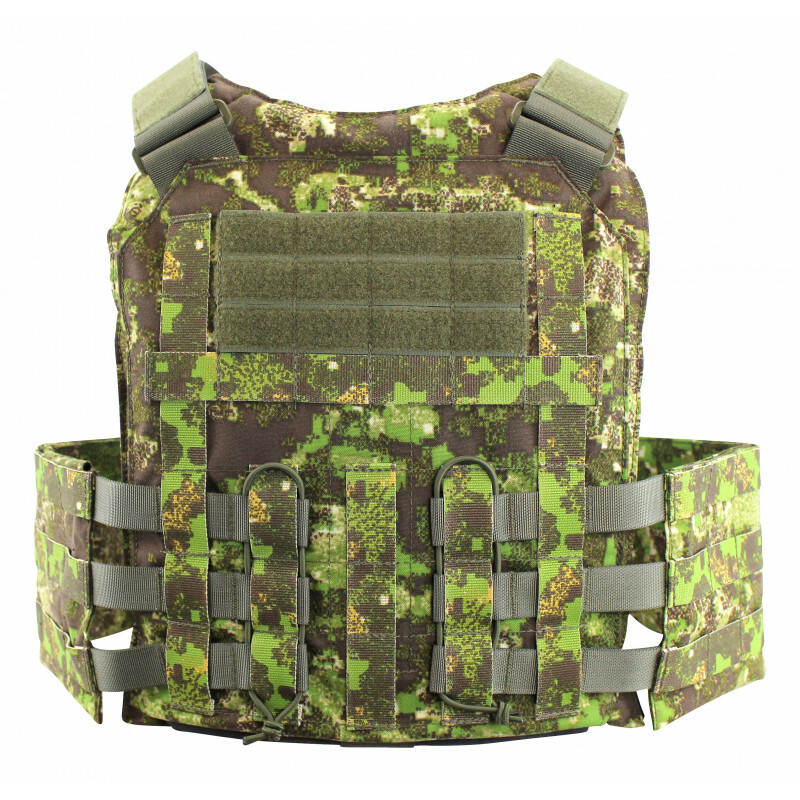 Vulcan III is the latest generation of the ZENTAURON plate carrier. 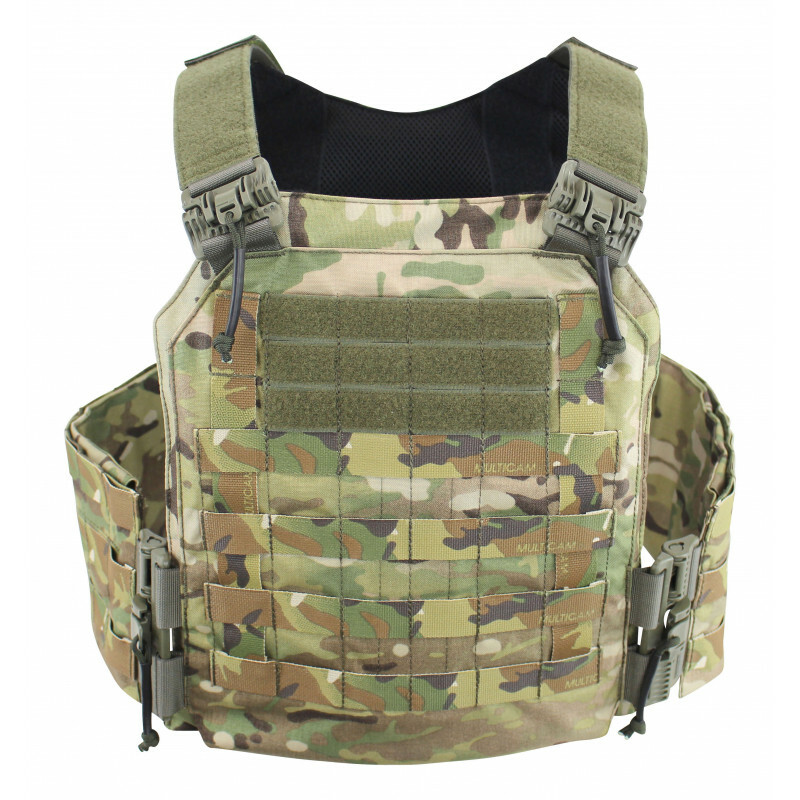 We have completely revised the classic Vulcan and raised it to a new level. 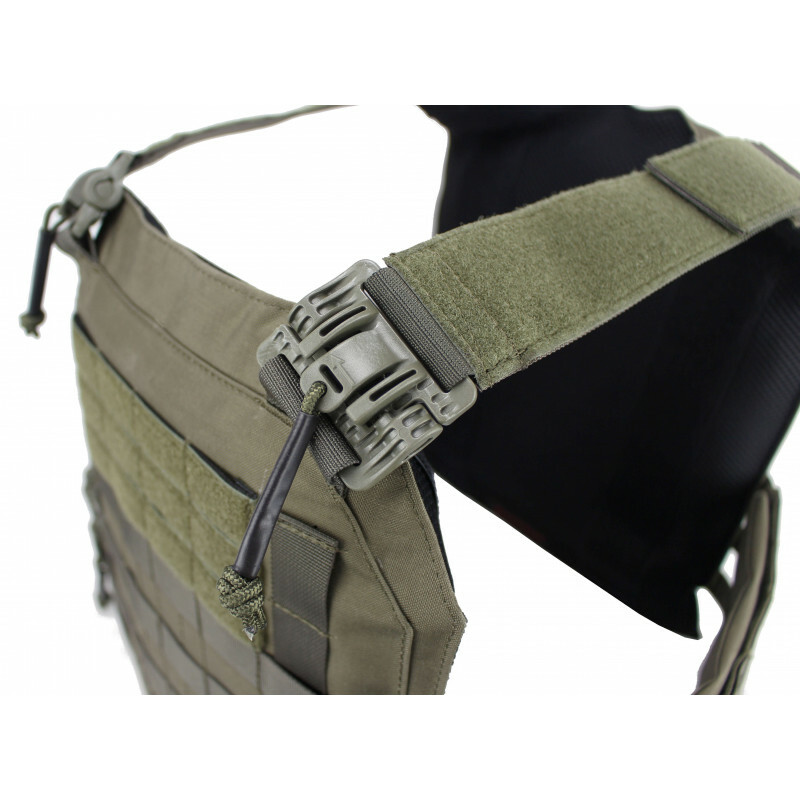 The Vulcan III is fully equipped with ZenTubes (ROC buckles) on shoulder straps and cummerbund, making it extremely quick to put on and take off. 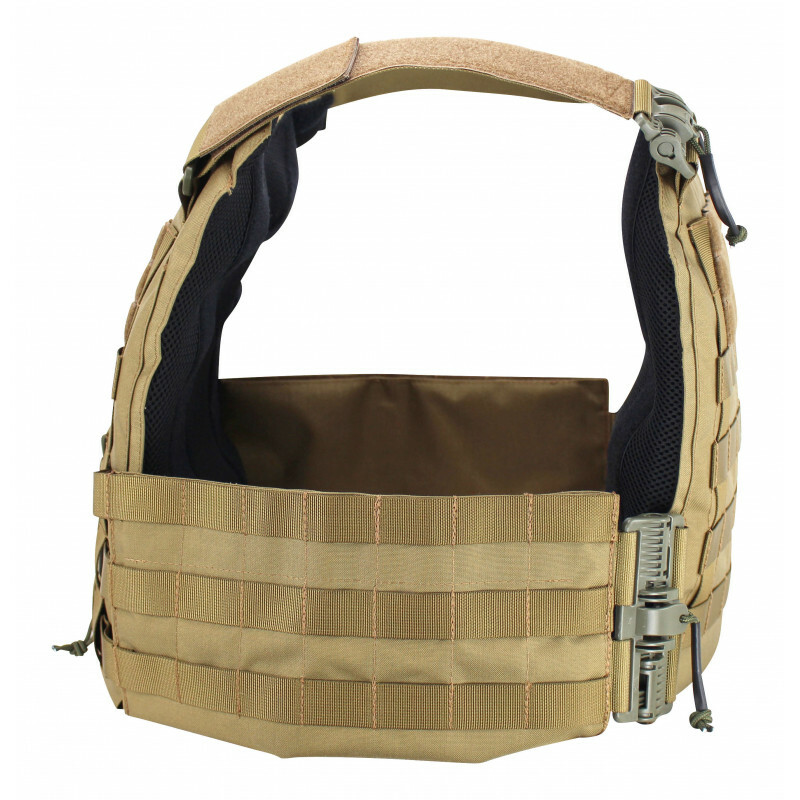 The ZenTubes also function as a quick release system for emergencies. 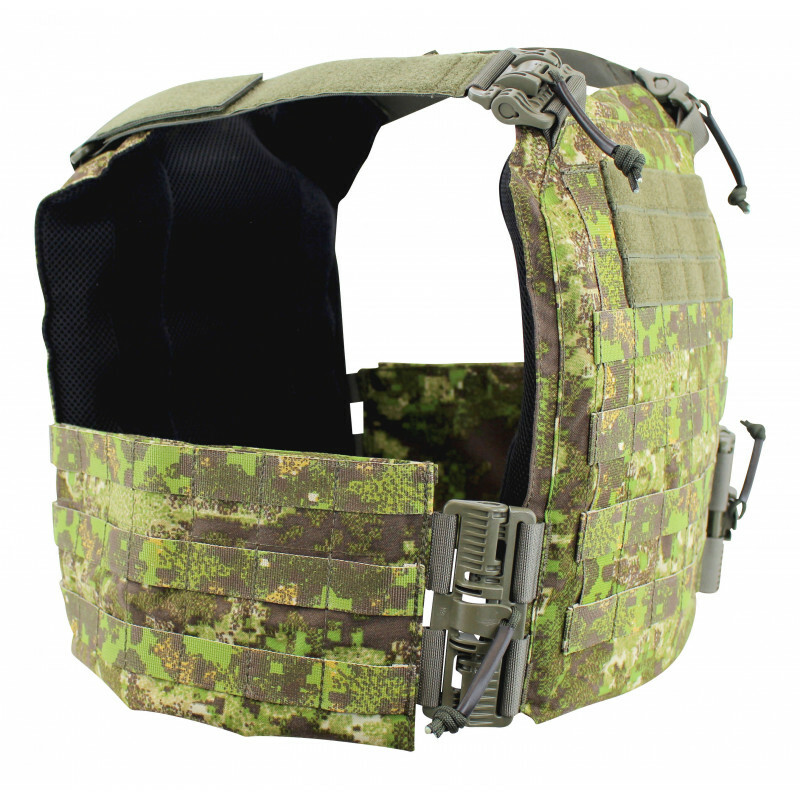 The quick release system is not only advantageous for the wearer, it also offers the Medic easy access to the patient in emergency situations. 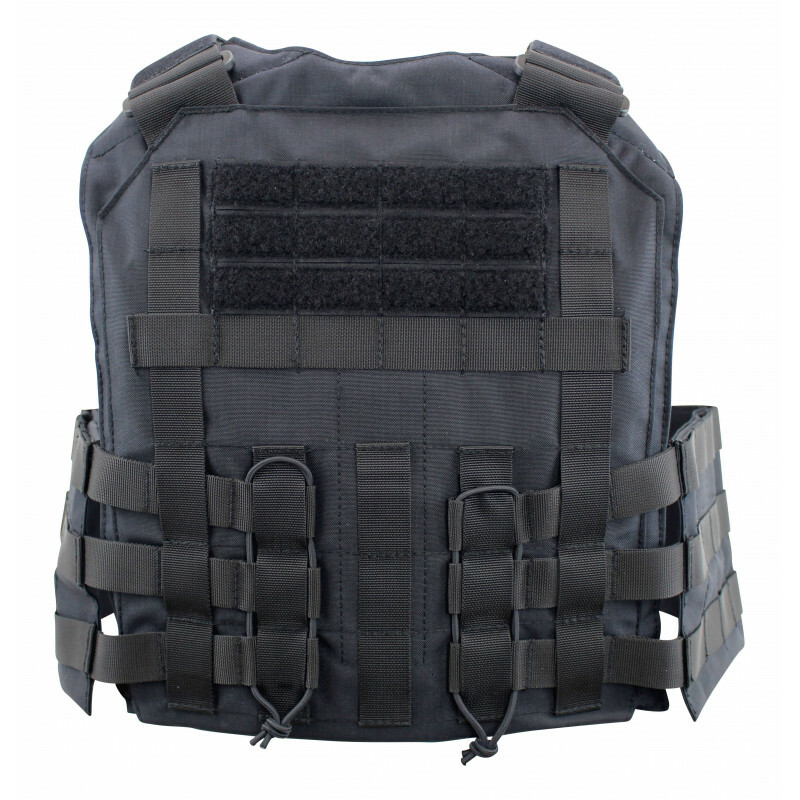 The plate pockets for hard and soft ballistics are separated from each other. 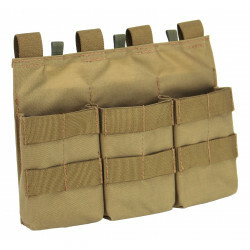 The ballistics supplied for business purposes fit into the plate inserts. 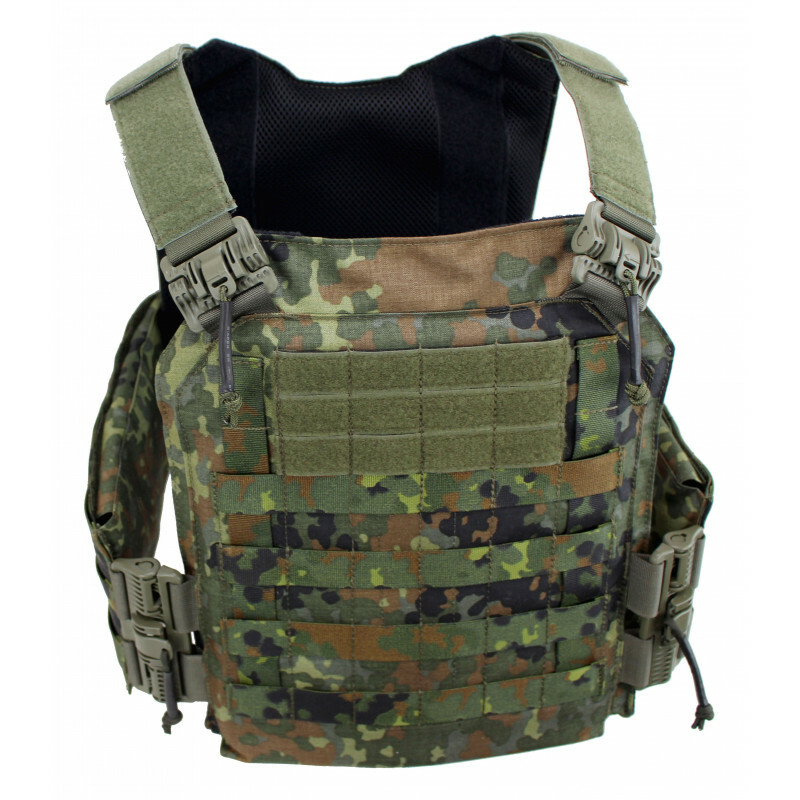 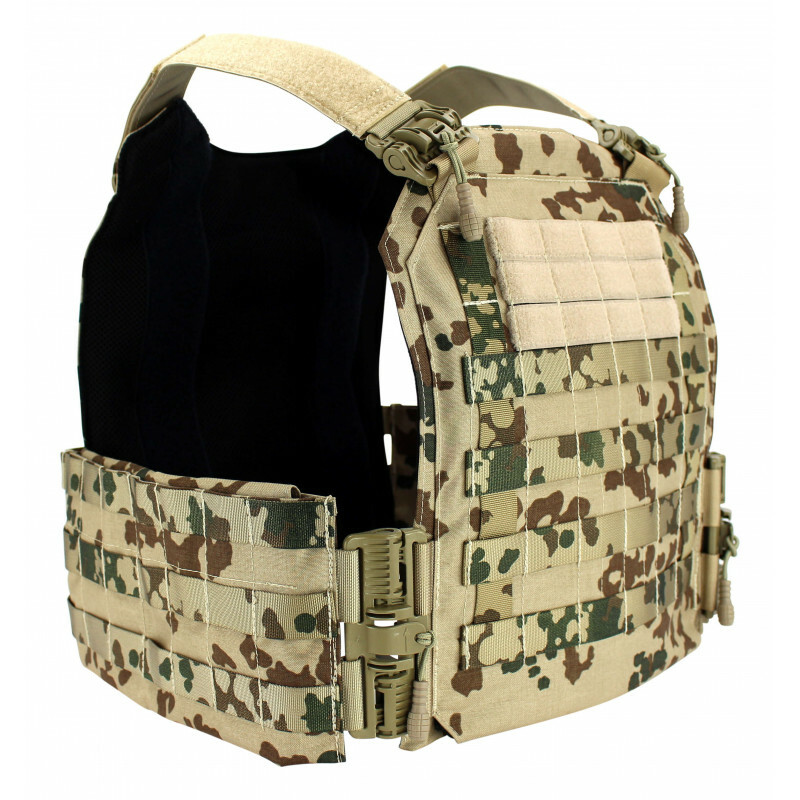 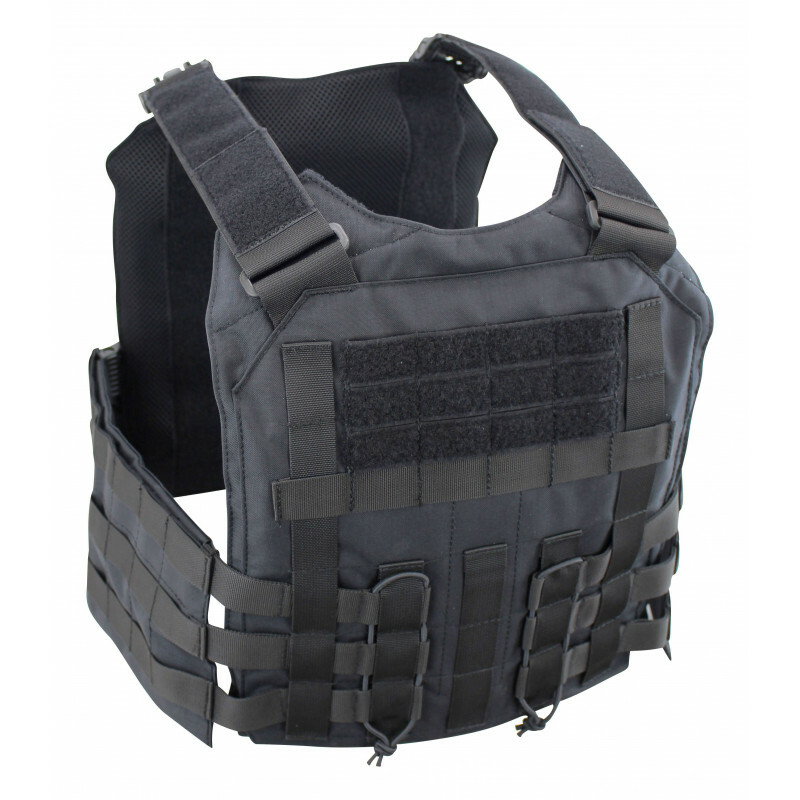 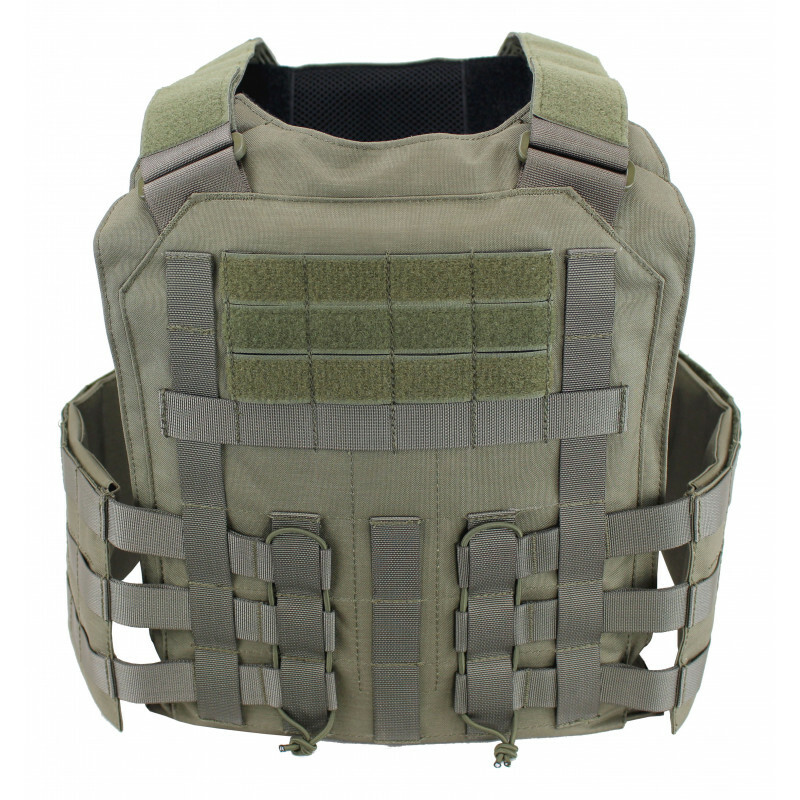 The soft ballistic compartment is padded with 3D MESH on the side facing the body. 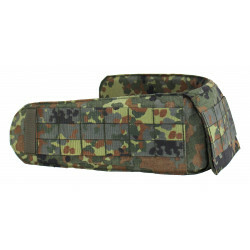 The wearing comfort can also be extended with additional cushions (Hivent). 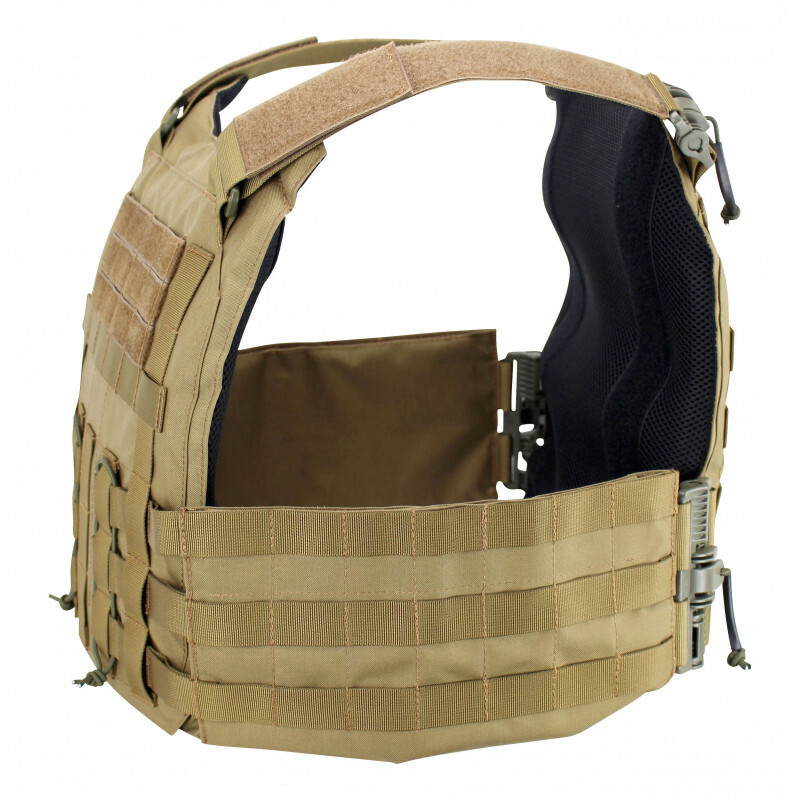 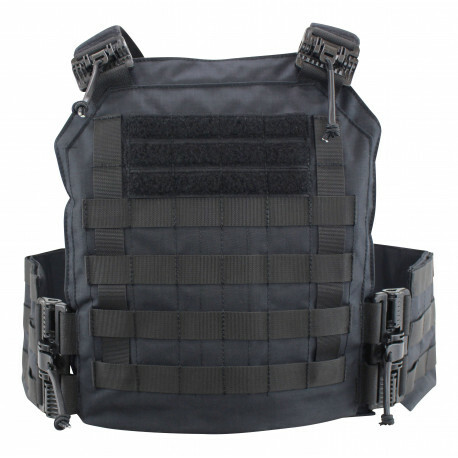 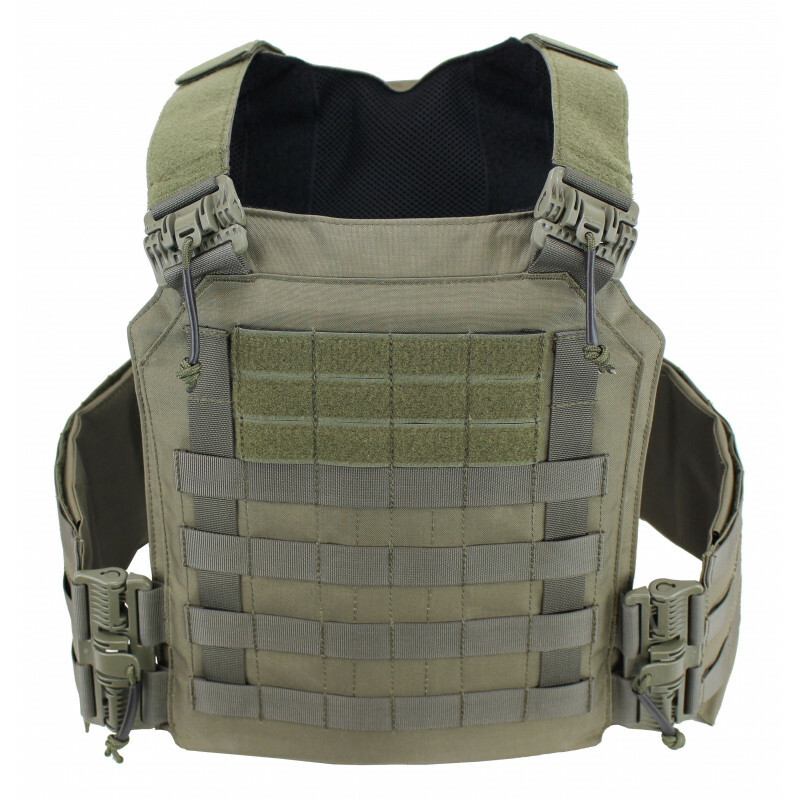 MOLLE loops on the front, back and cummerbund make the Vulcan III fully flexible: various magazine pockets and multi-purpose pockets can be attached as required. 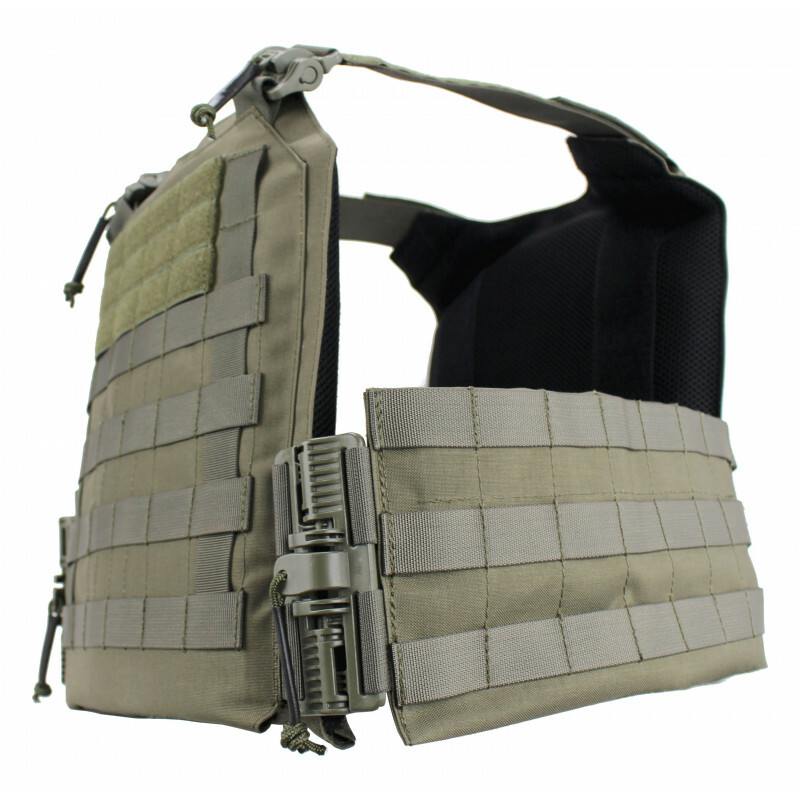 On the outside of the Vulcan III plate pocket there are 4x3 MOLLE loops, which are provided with velcro. 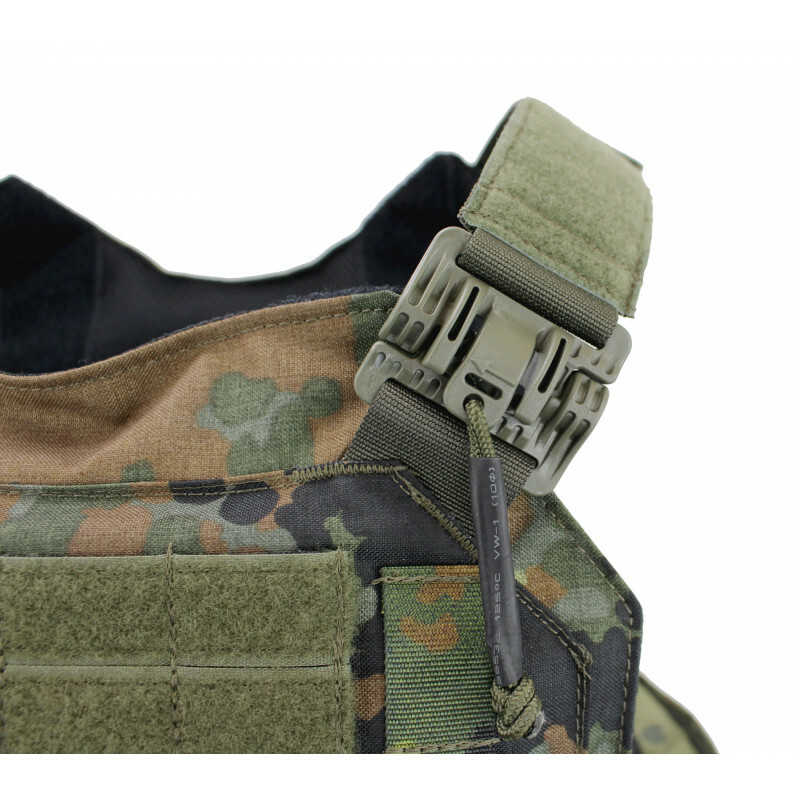 IR and ID patches can be applied as well as cables from radios. 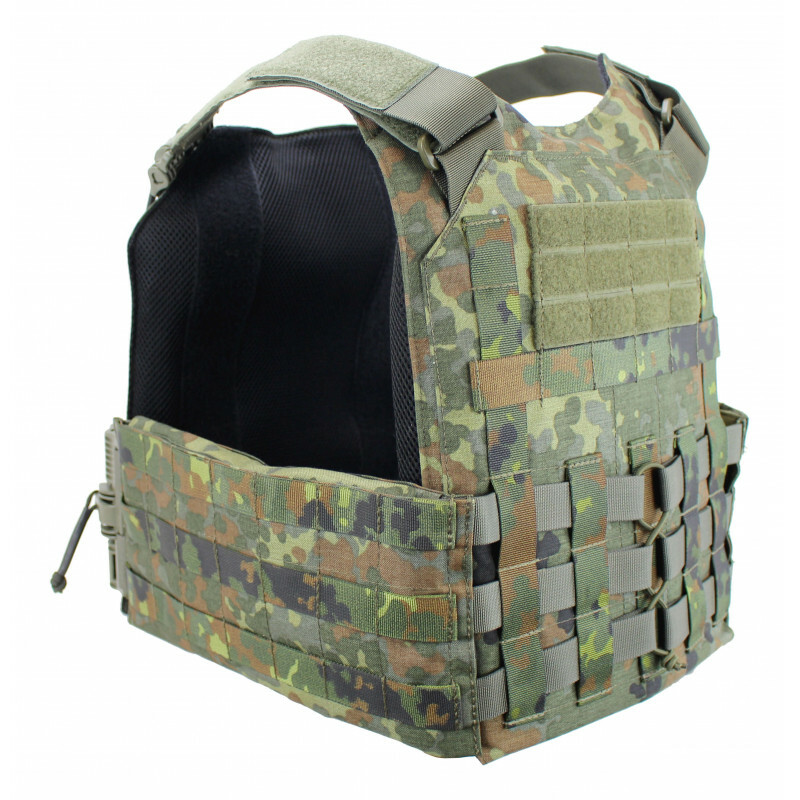 Underneath there are further MOLLE loops for attaching magazine and multi-purpose bags. 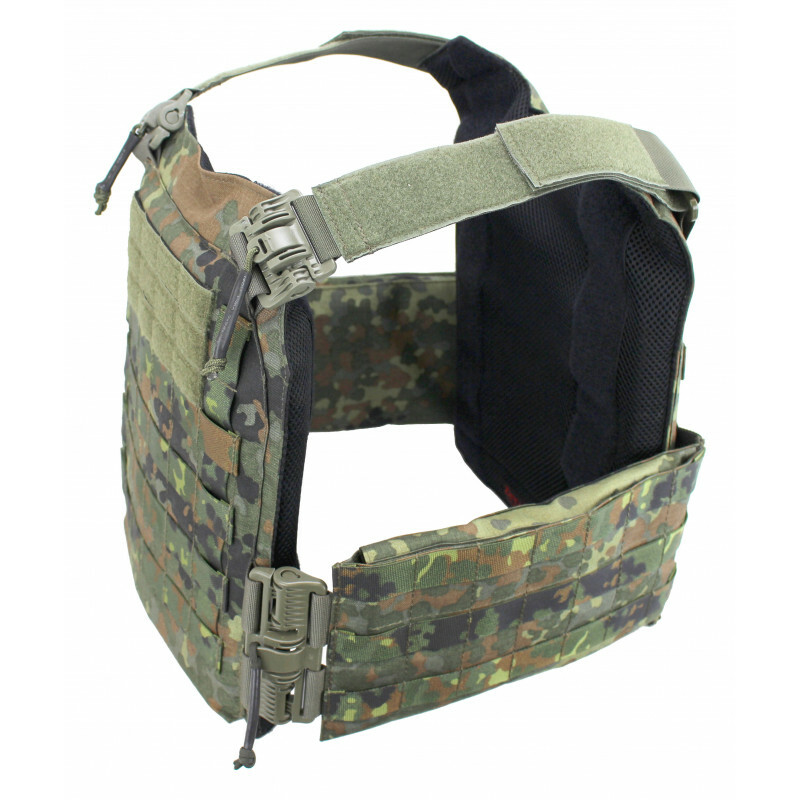 On the outside, a vertical strap for attaching cables and other objects is attached on the left and right. 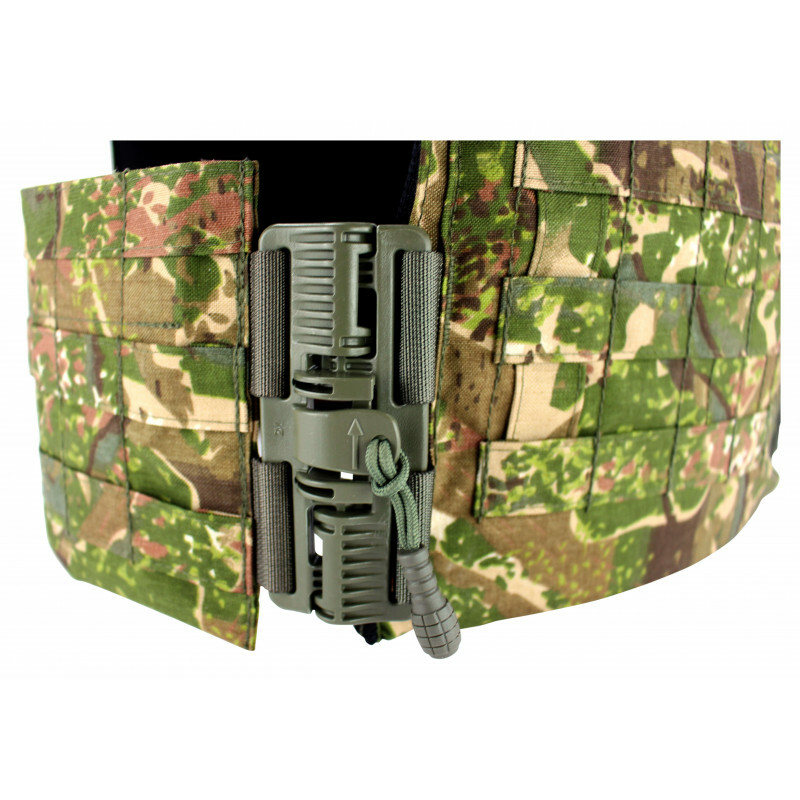 The fasteners for the ZenTubes quick release system (ROC buckles) are secured with bolts for extra stability. 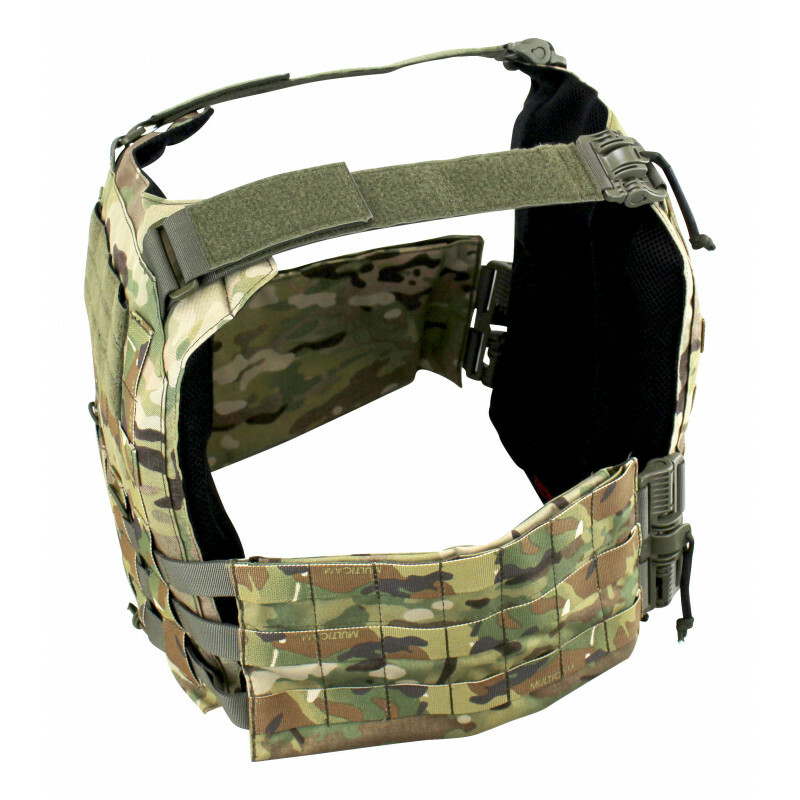 The inside side is upholstered with 3D mesh fabric and contributes to a good wearing comfort and good ventilation. 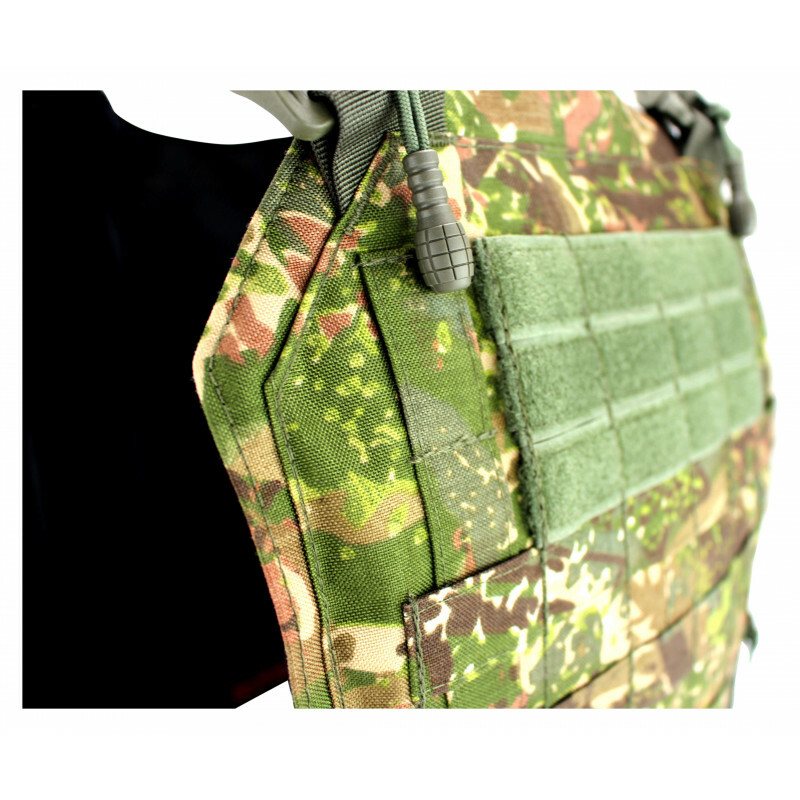 The inserts of the panel pockets are opened and closed with Velcro. 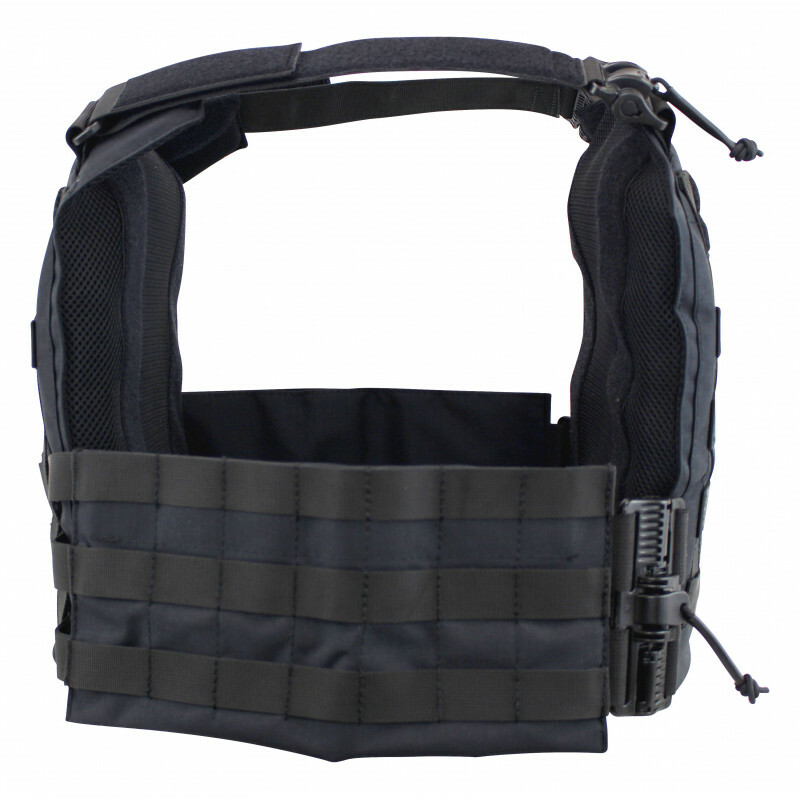 Inside is the compartment for soft ballistics or non-ballistics, which is simply inserted and the compartment closed with Velcro. 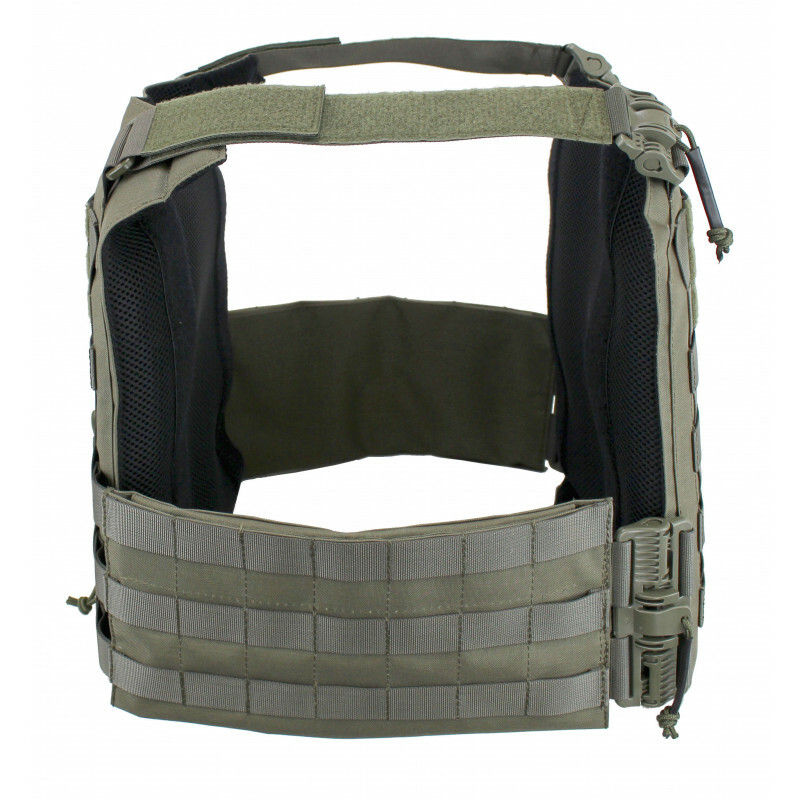 On the outside is the hardball compartment where the SK4 plate is placed. 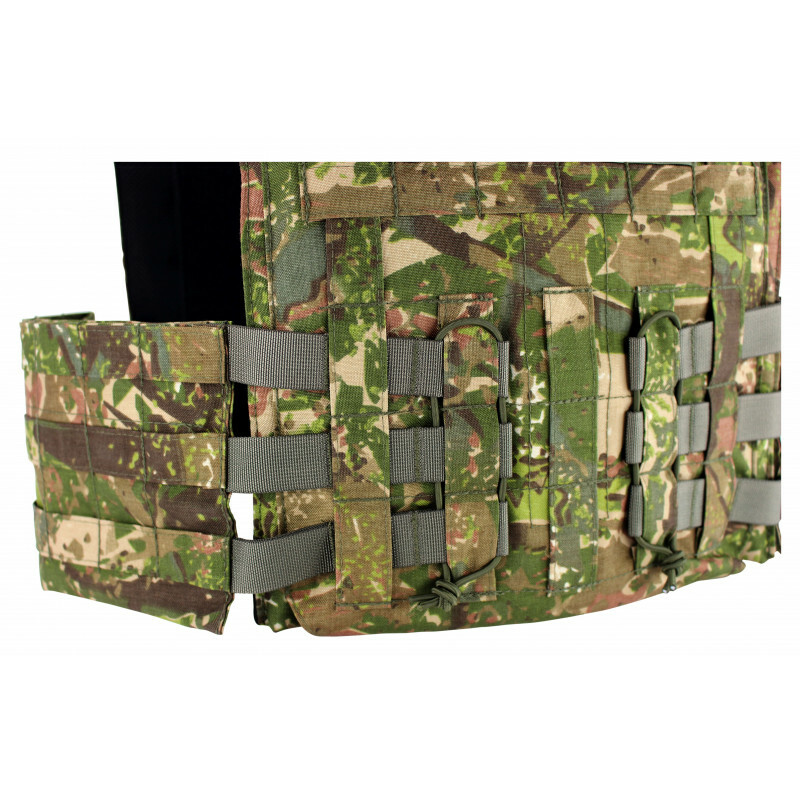 For fixing the SK4 plate a 50 mm belt is sewn on, which secures the plate reliably. 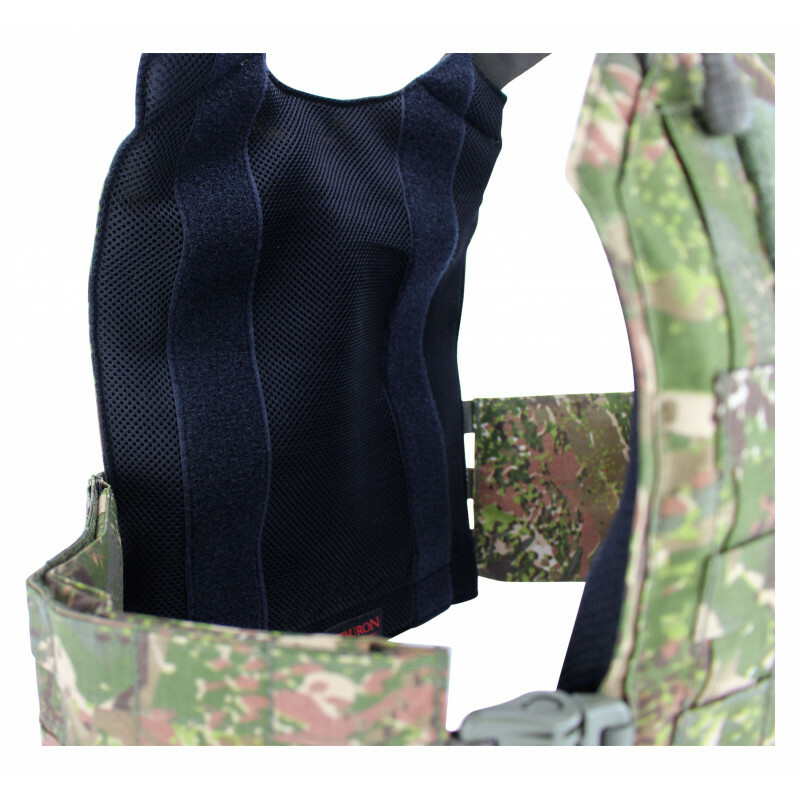 The Velcro of the SK4 plate pocket can also be used to attach the abdominal protection and the front pocket. 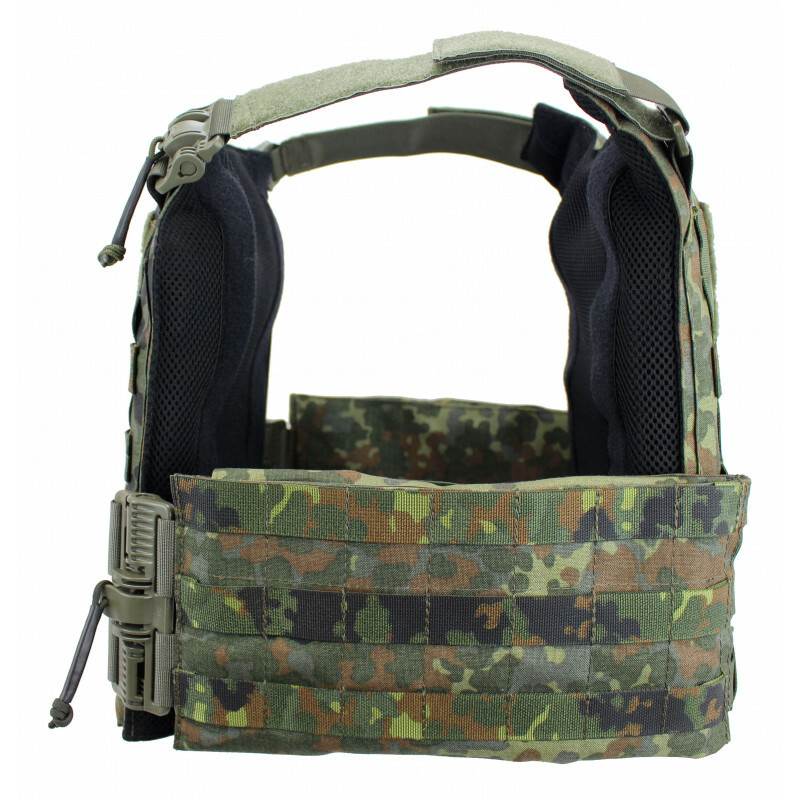 With the optional V3 MOLLE Flap and V3 Magazine Flap, the setting can be quickly adapted to any application. 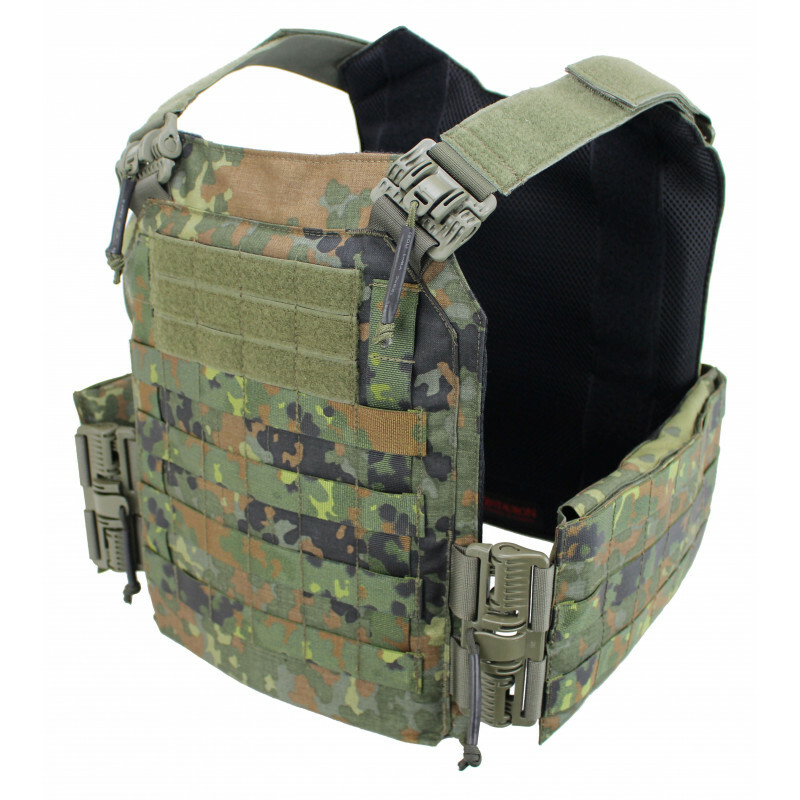 The MOLLE flaps are attached to the plate carrier via loops with Velcro. 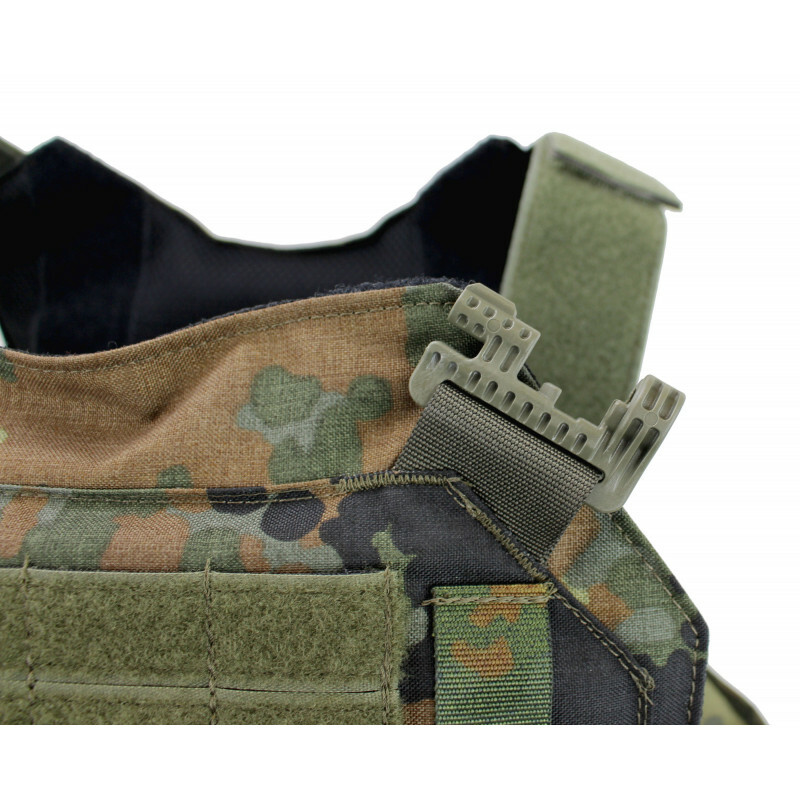 Another variant is the fastening with QRASM buckles or G-Hooks, so that the flaps can be used as quick-change flaps. 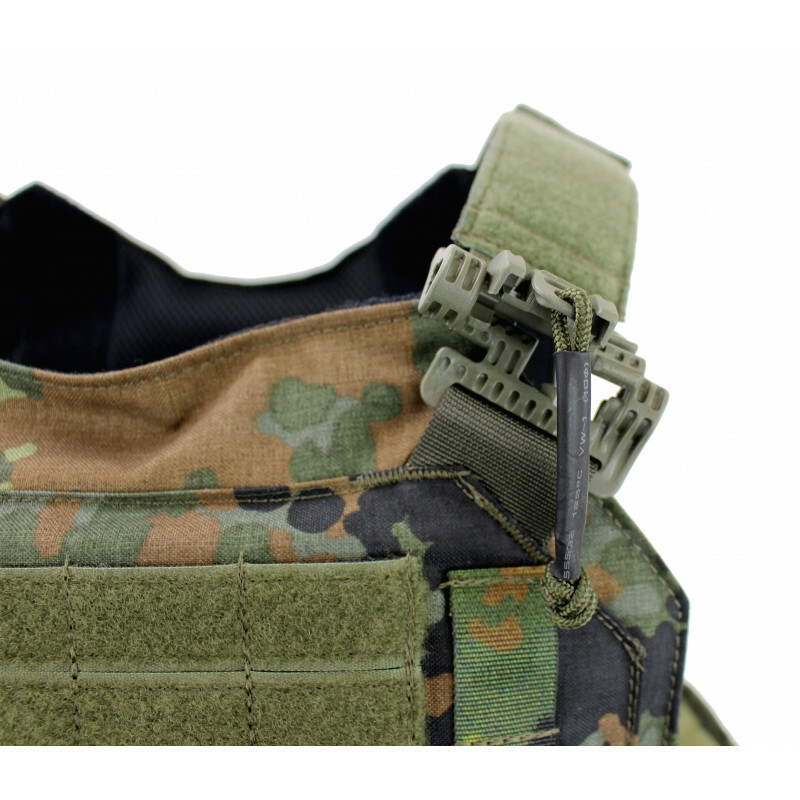 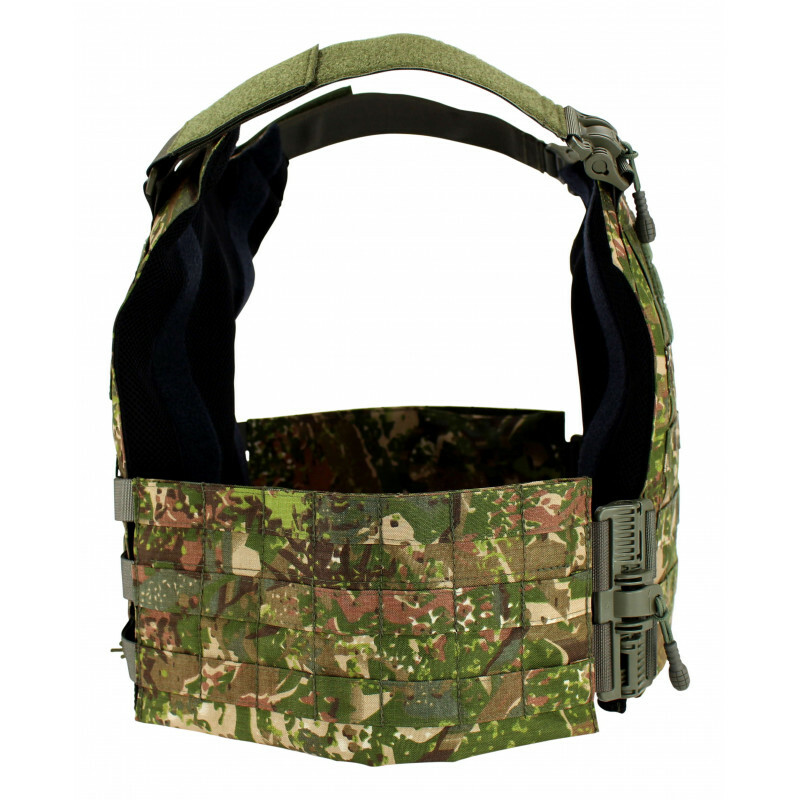 On the outside there are again 4x3 MOLLE loops, which are fitted with Velcro and vertical straps on the outside. 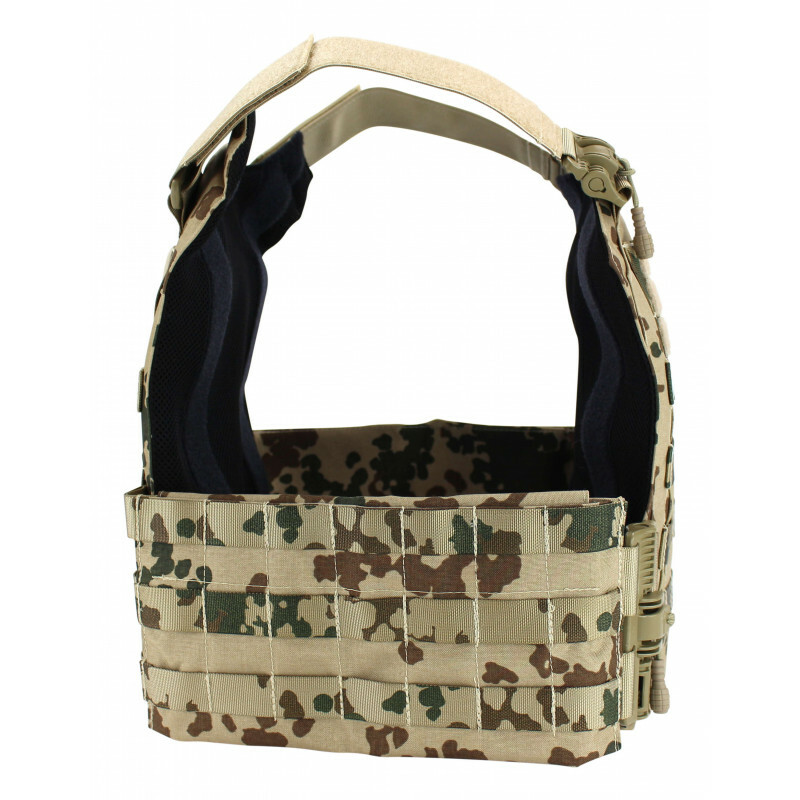 To improve wearing comfort, the plate bag is equipped with additional padding on the shoulder straps. 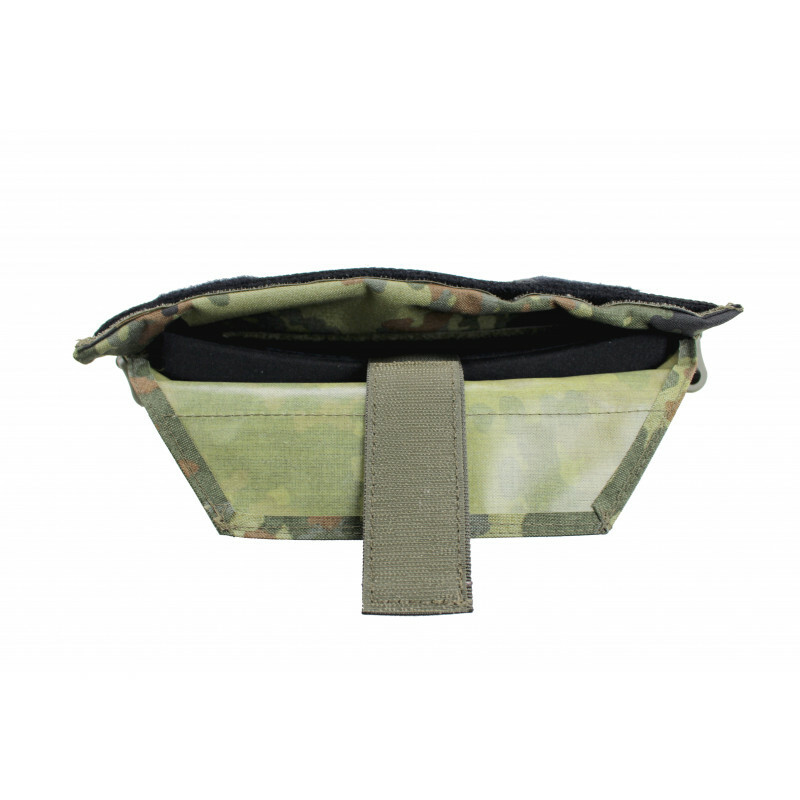 On the lower half of the plate pocket is the system for the cummerbund. 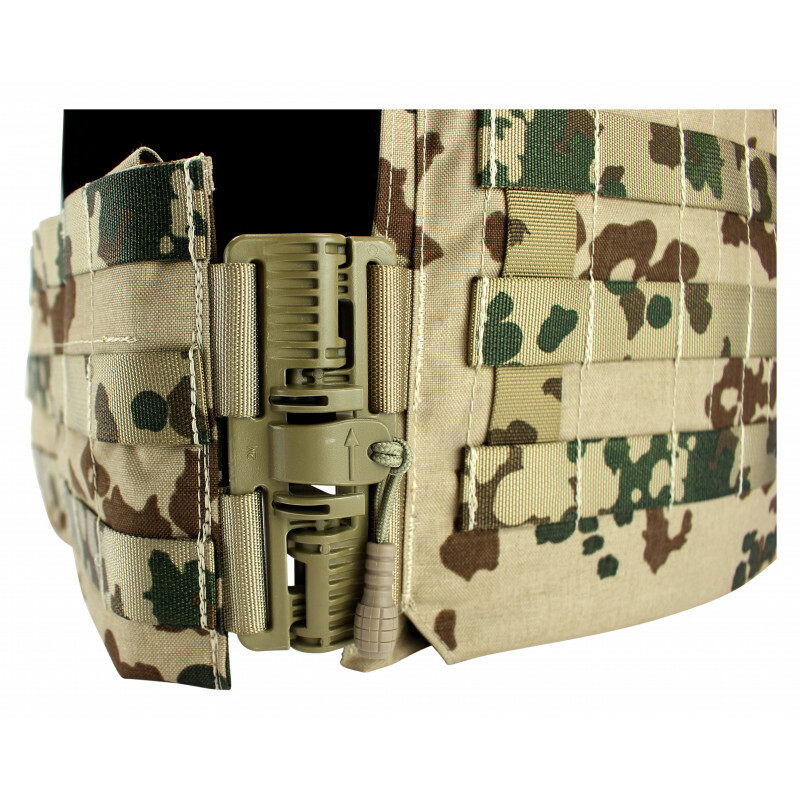 The cummerbund is attached to horizontal MOLLE belts and fixed with rubber cords. 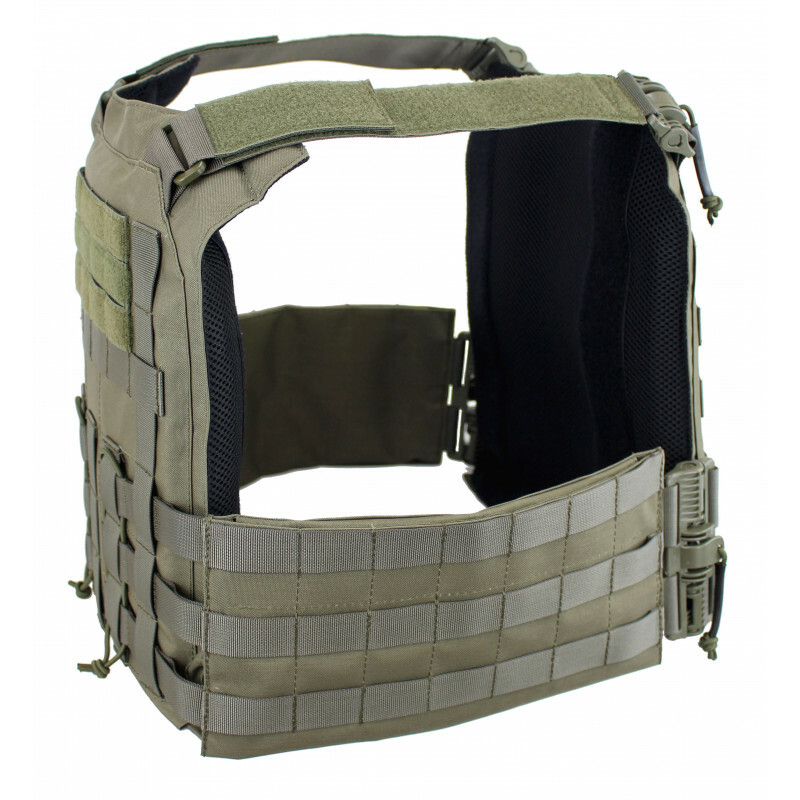 The size is adjusted via the webbing loops on the cummerbund and the straps of the plate pocket. 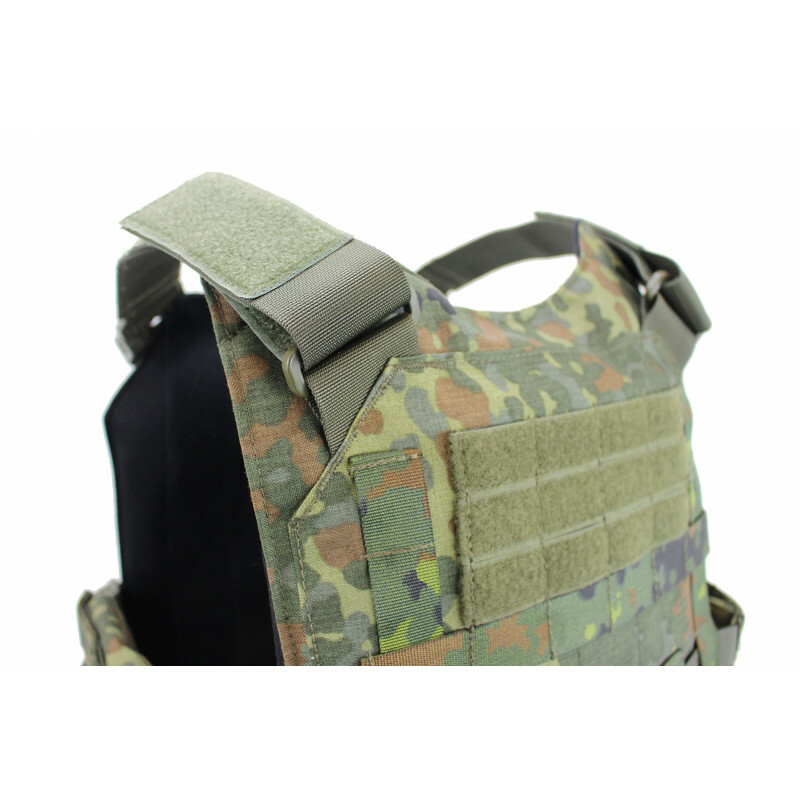 For example, 2x12cm adjustment range is available for size adjustment. 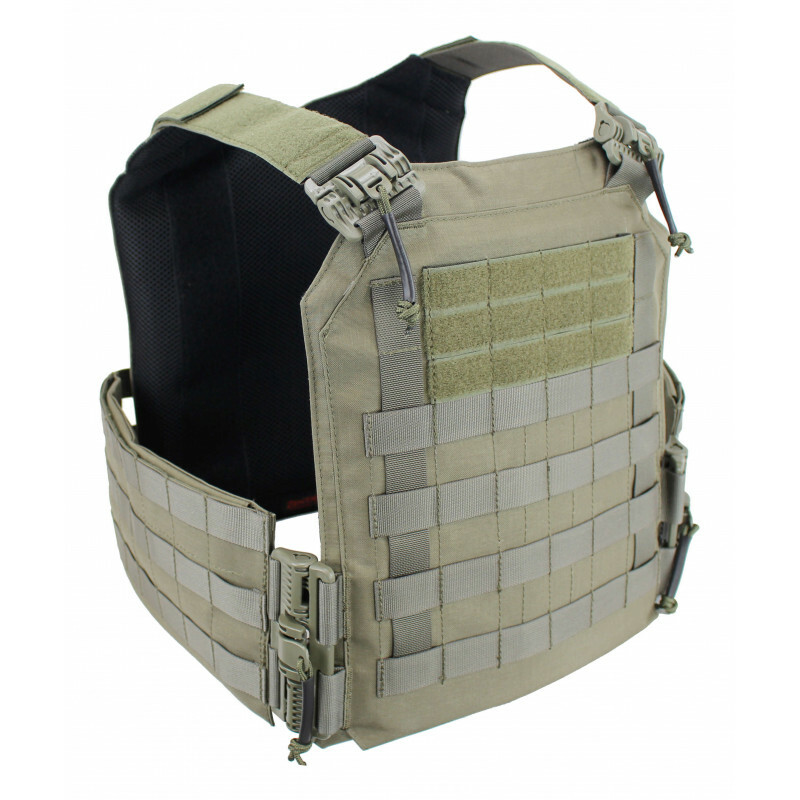 The horizontal MOLLE loops can of course also be used to mount other equipment. 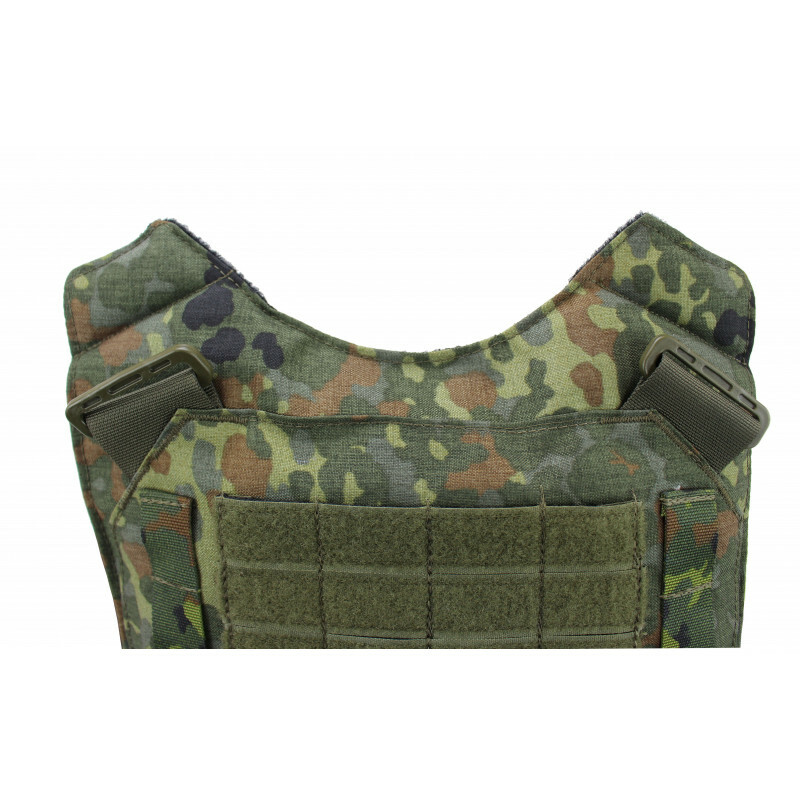 The holder for the hard and soft ballistics is identical to the front plate pocket. 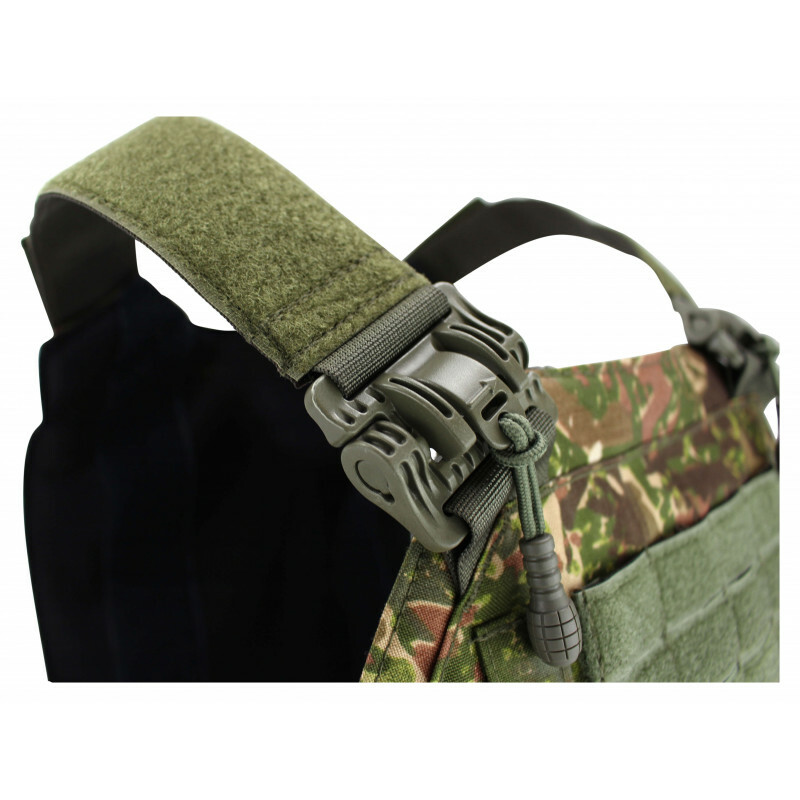 The rear plate pocket also has a Velcro fastener for the ZENTAURON weight transfer. 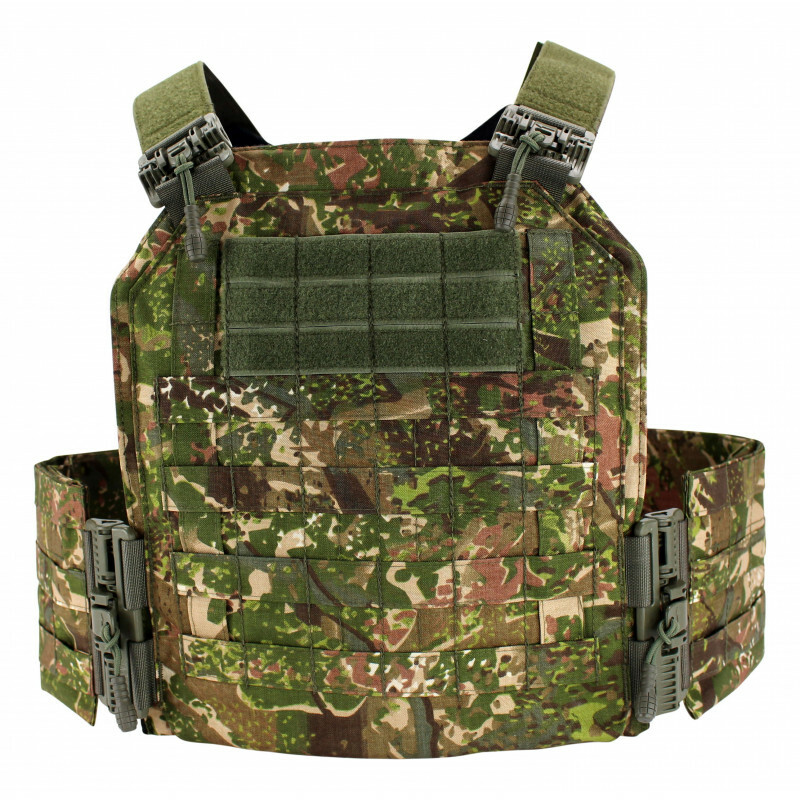 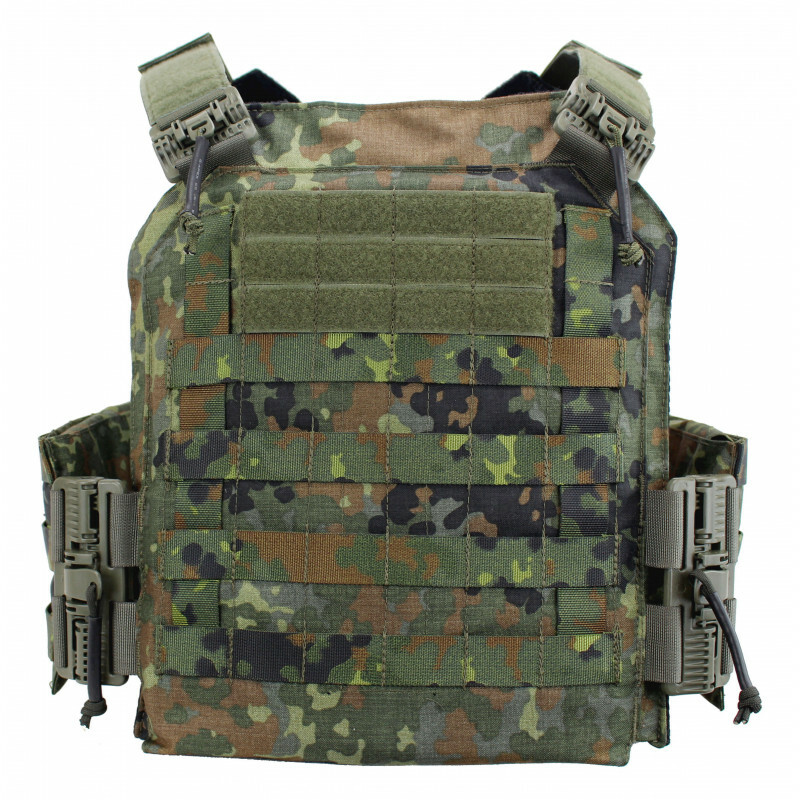 This allows the Vulcan III plate carrier to be attached to the warbelt and the MOBAST system supplied at work, as well as to several other belts - such as those from LHT, for example. 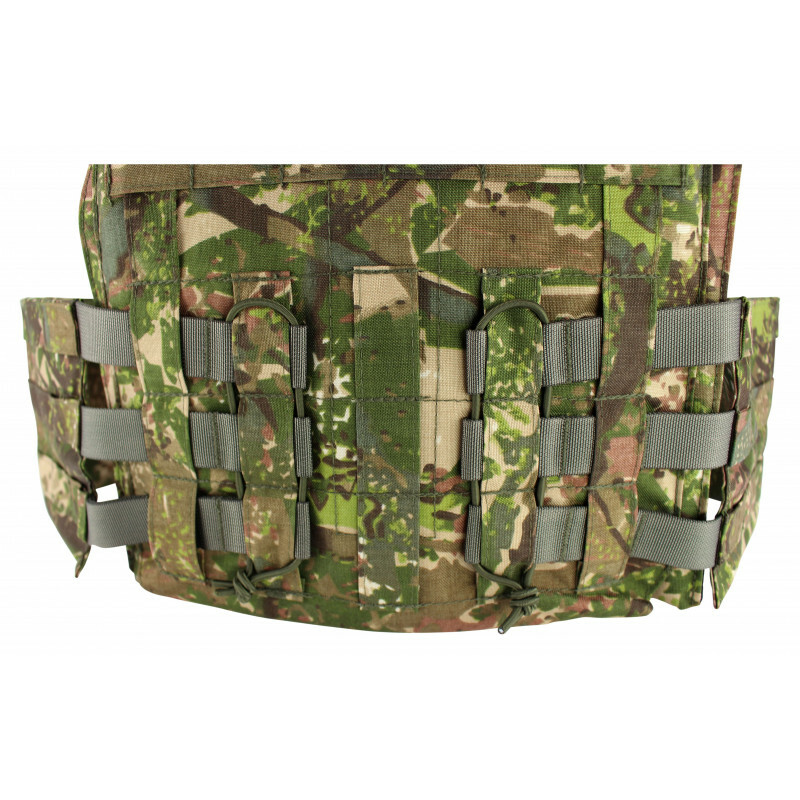 The quick release system with ZenTubes is based on ROC buckles, which are simple and intuitive to use. 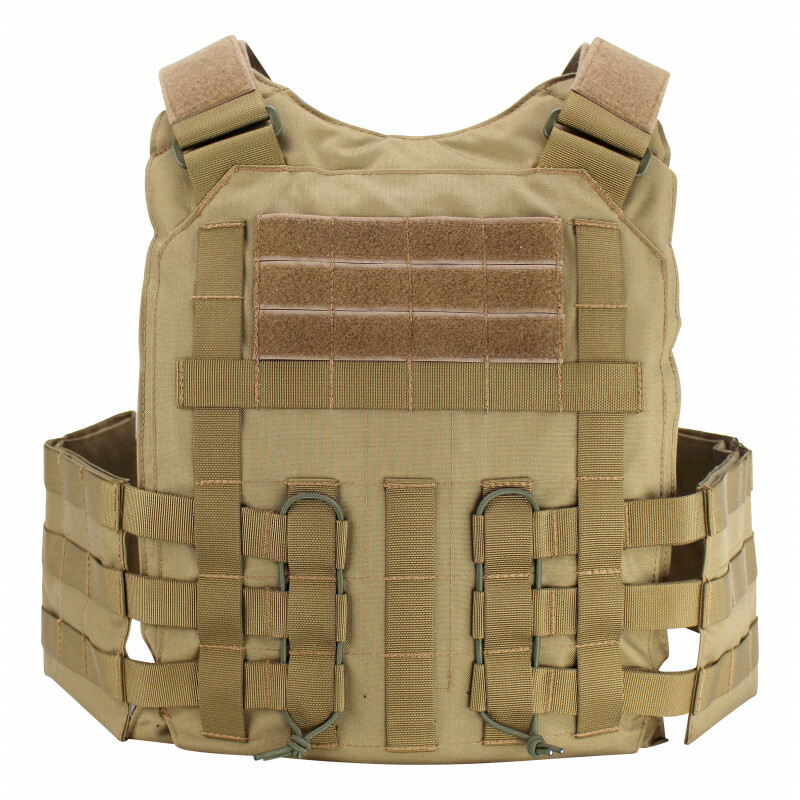 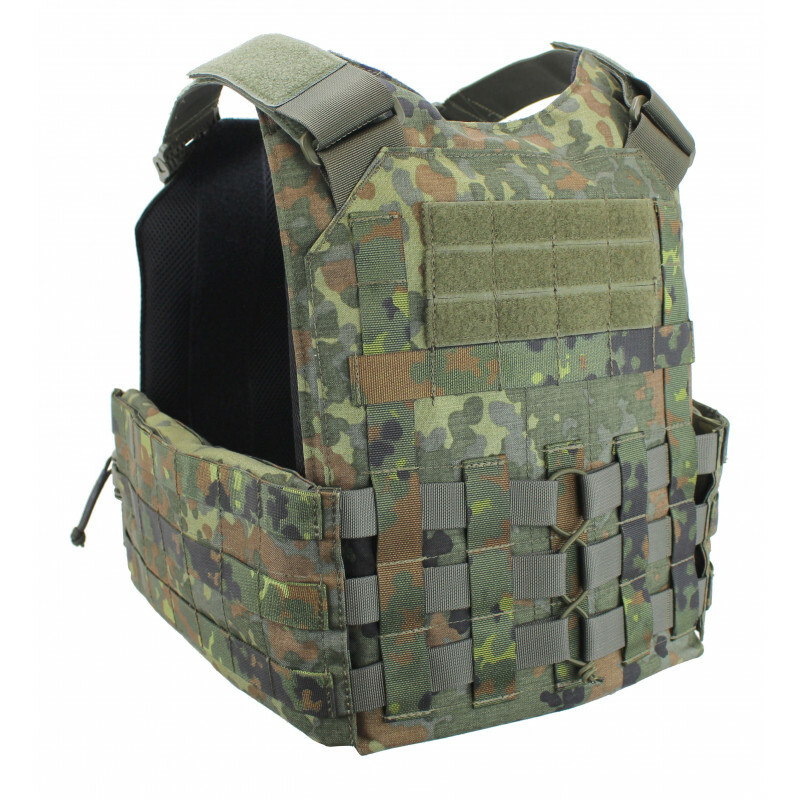 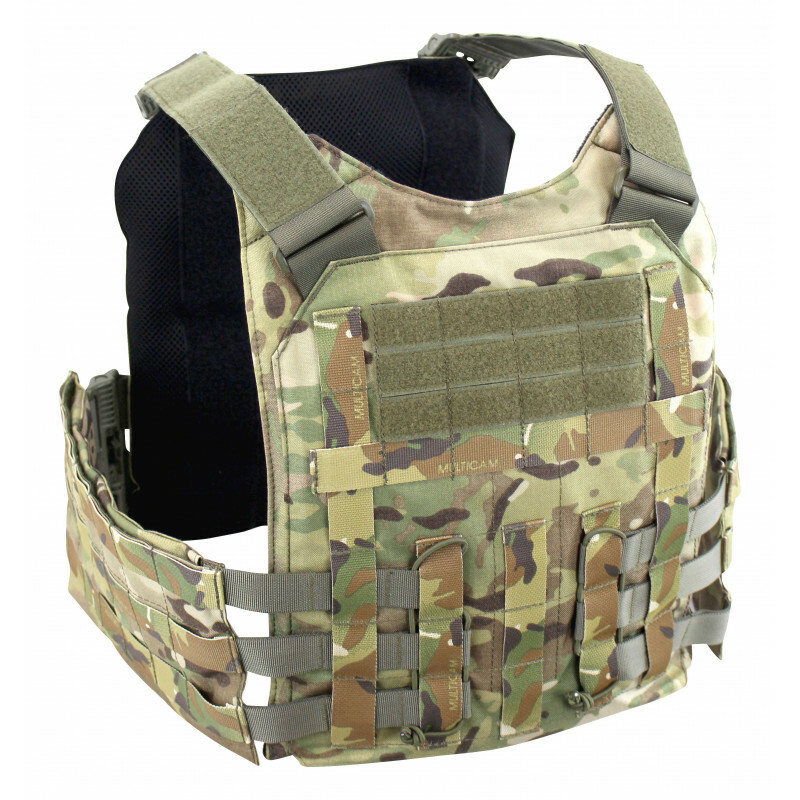 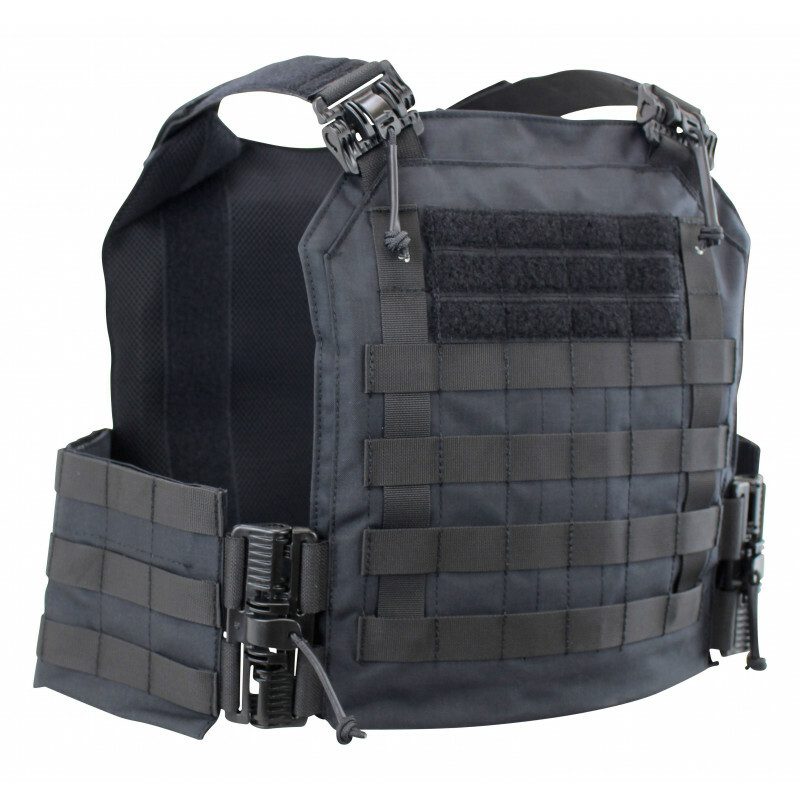 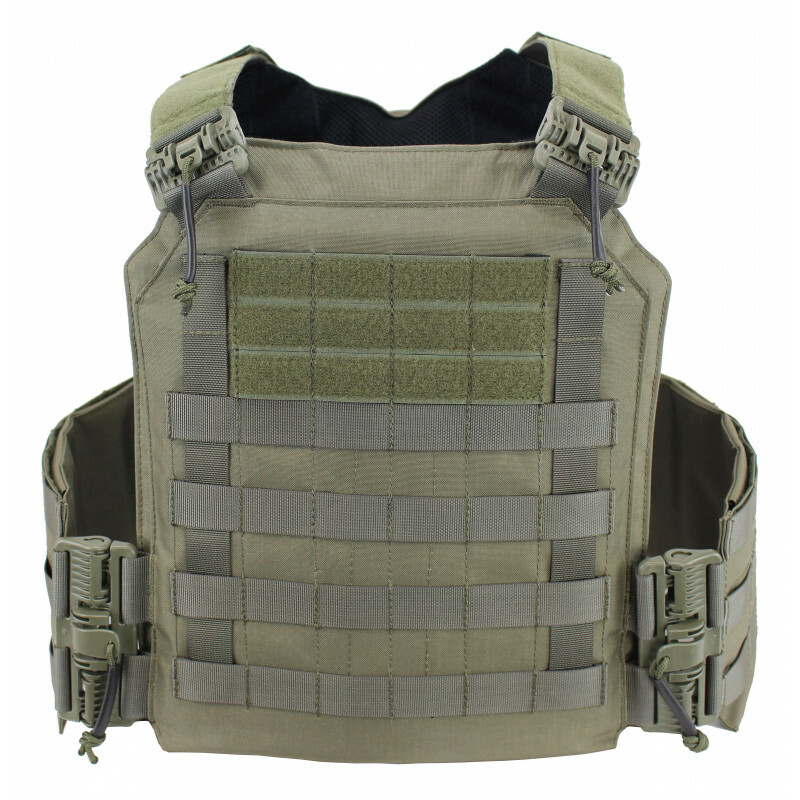 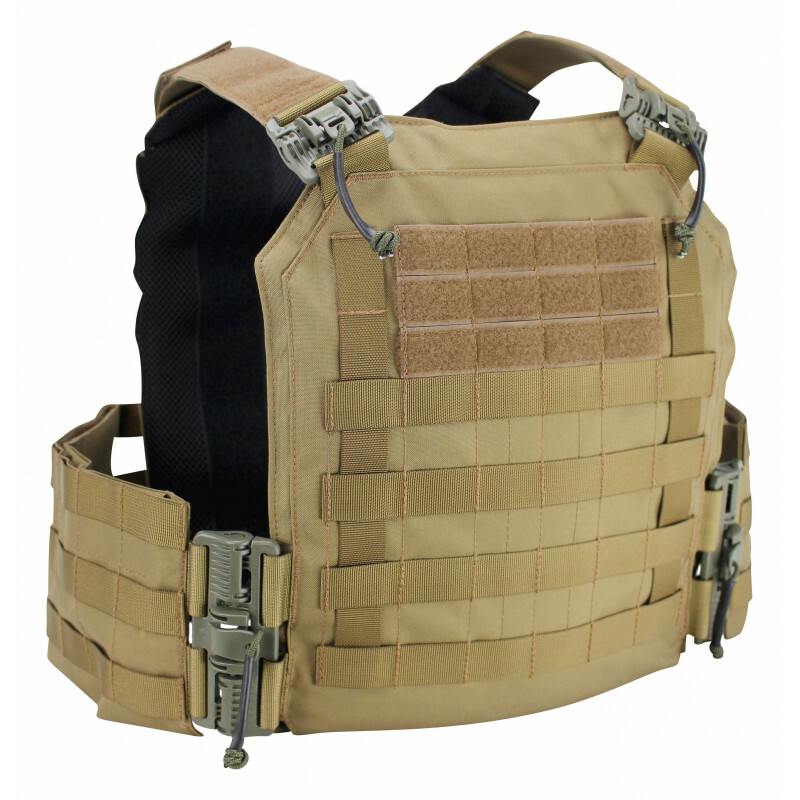 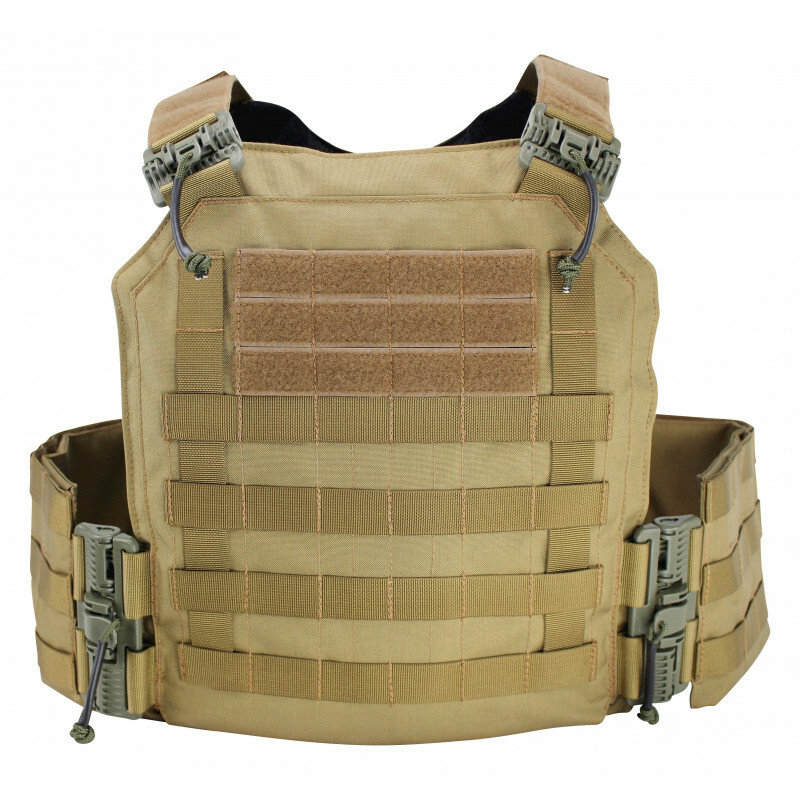 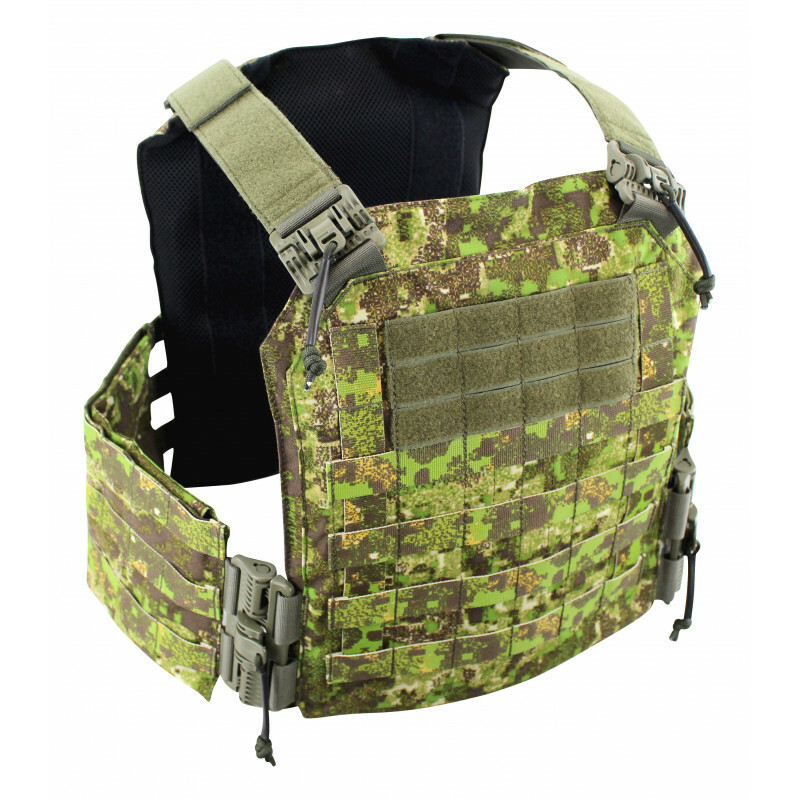 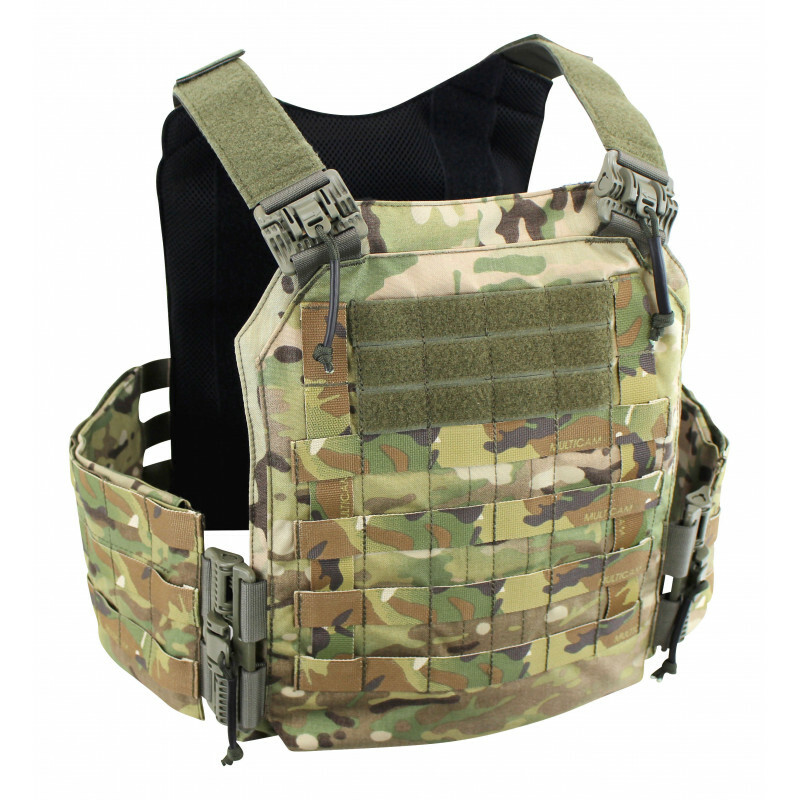 This new locking system automatically equips the Vulcan III plate carrier as a quick release system. 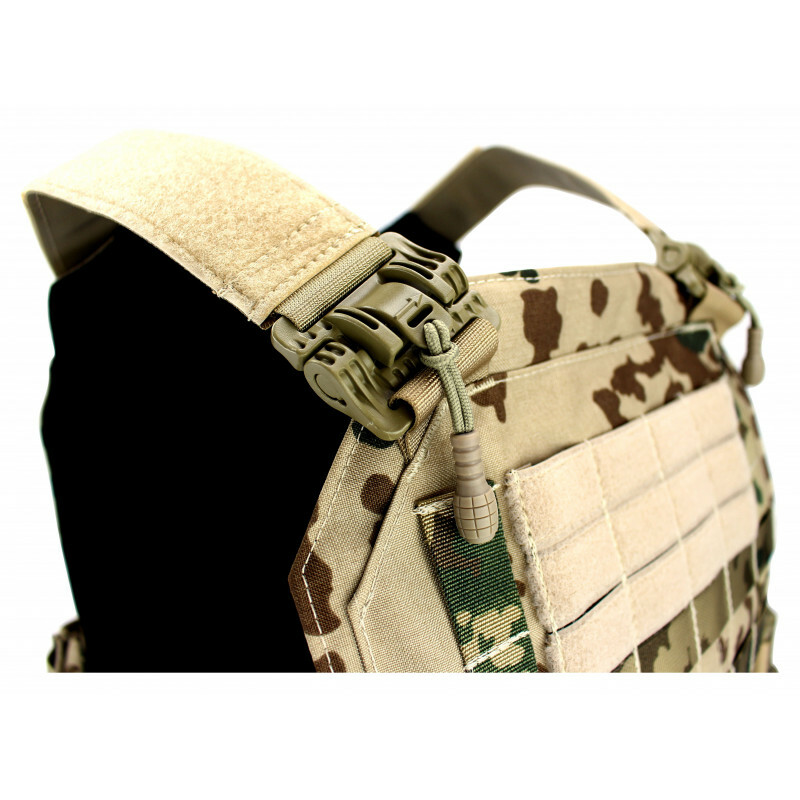 The ZenTubes are equipped with a rubberized cord for better grip. 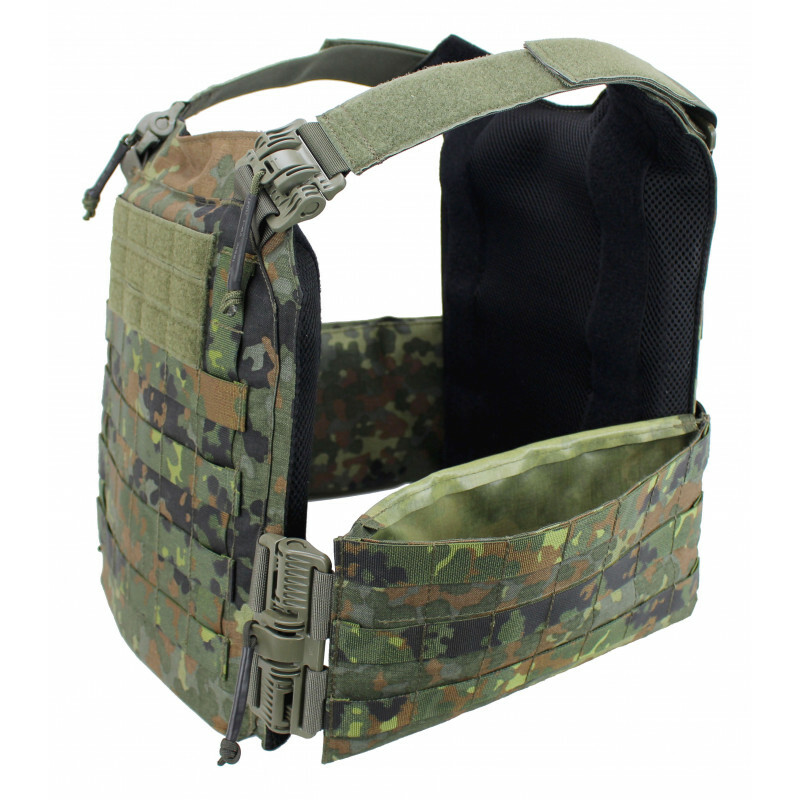 The mechanism is triggered by pulling the cord away from the body and upwards. 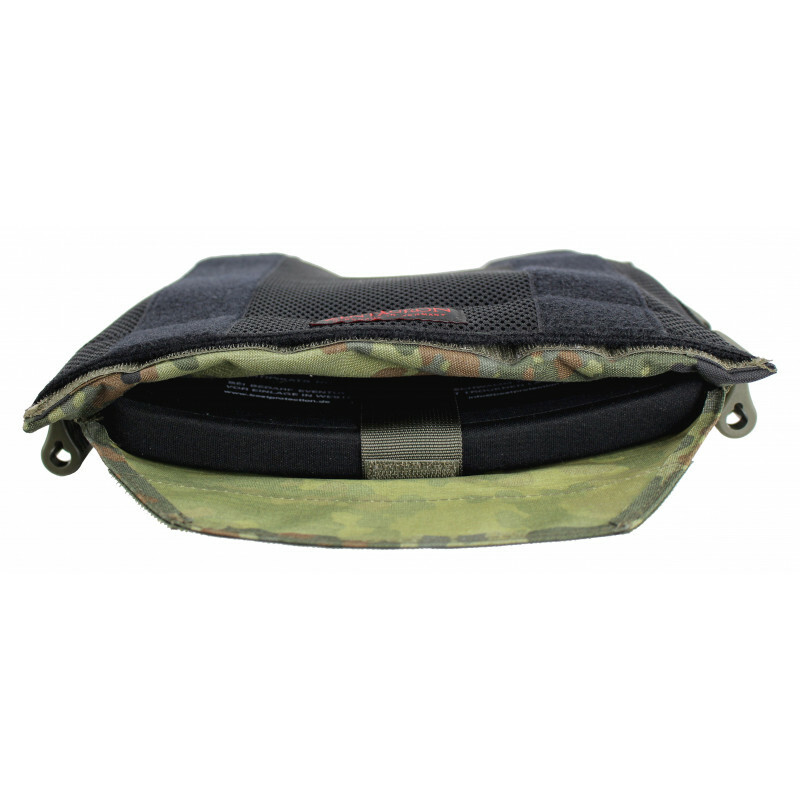 The cummerbund is equipped with 6x3 MOLLE loops on the outside and thus offers space for IFAK, fog pot and multi-purpose bags. 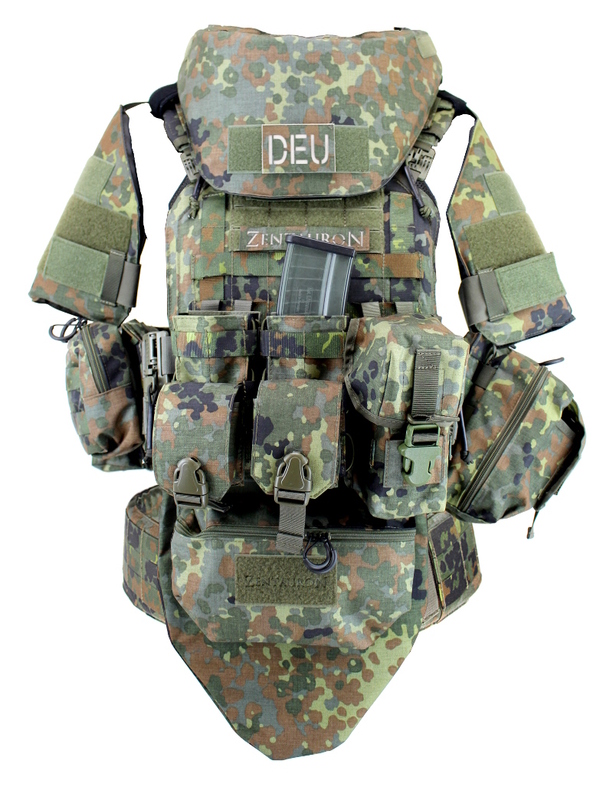 Inside the cummerbund there is room for ballistic soft inserts or equipment such as the Sigpi (signal pistol of the German Armed Forces) and radios. 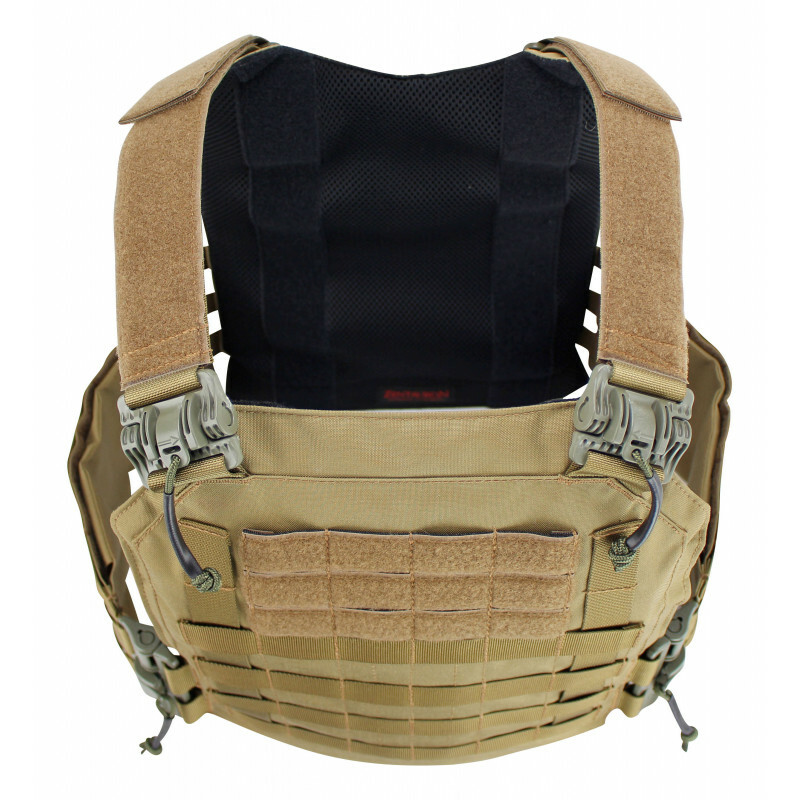 The shoulder straps are equipped on the front with the ZenTubes quick release fastener and are attached to the rear plate pocket by the plastic connectors. 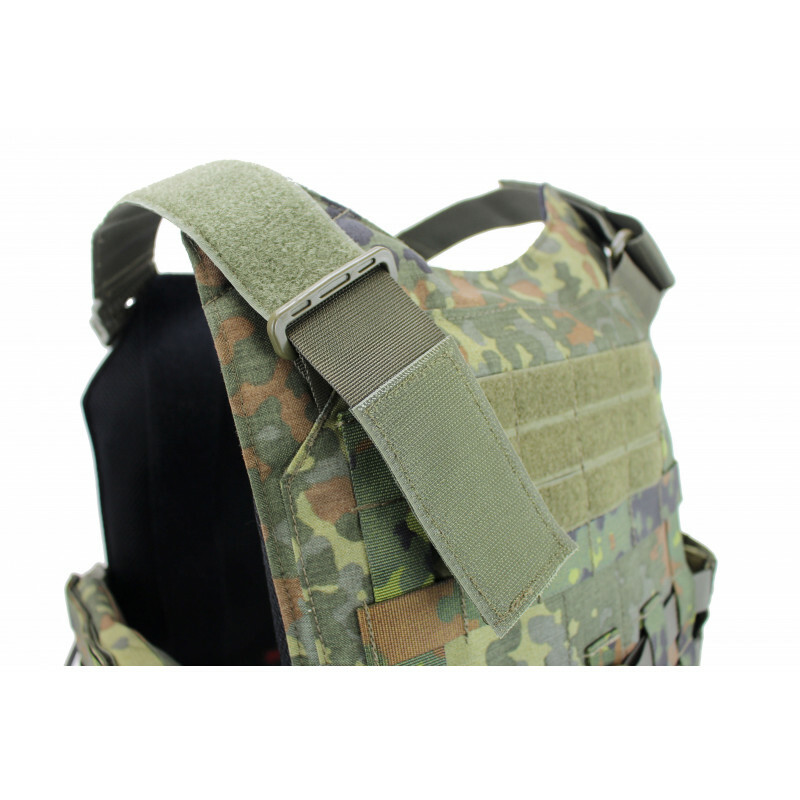 The length of the straps can be infinitely adjusted via the Velcro surface. 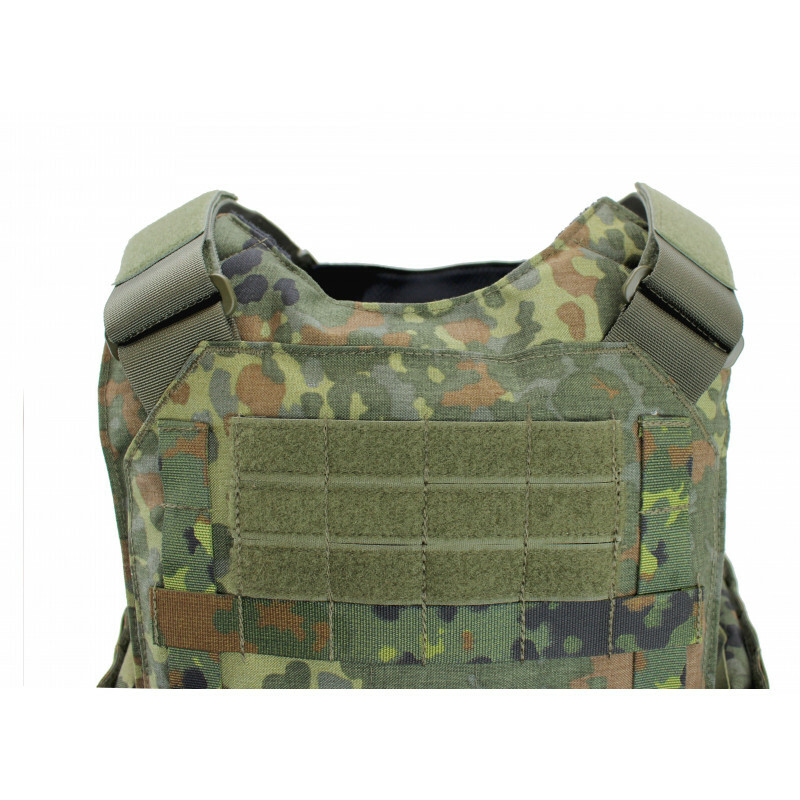 The wearing comfort can be easily extended with the optimal universal shoulder pads and shoulder pads. 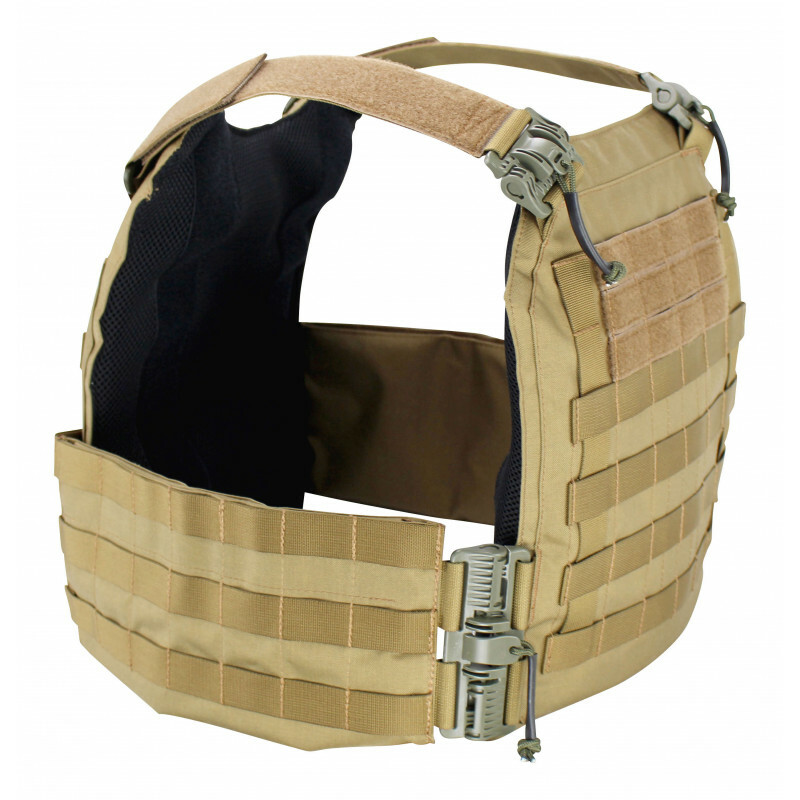 Other accessories such as upper arm and neck protection can also be attached via the shoulder straps. 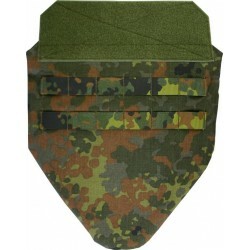 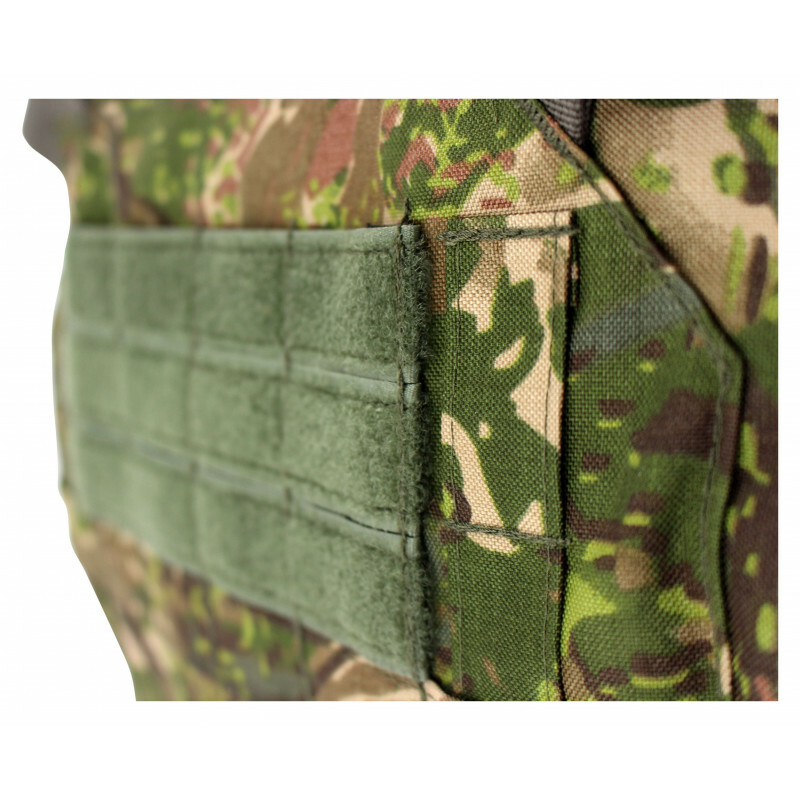 The attachment of abdominal protection and front pocket for plate carriers is done via the Velcro surfaces of the front plate pocket. 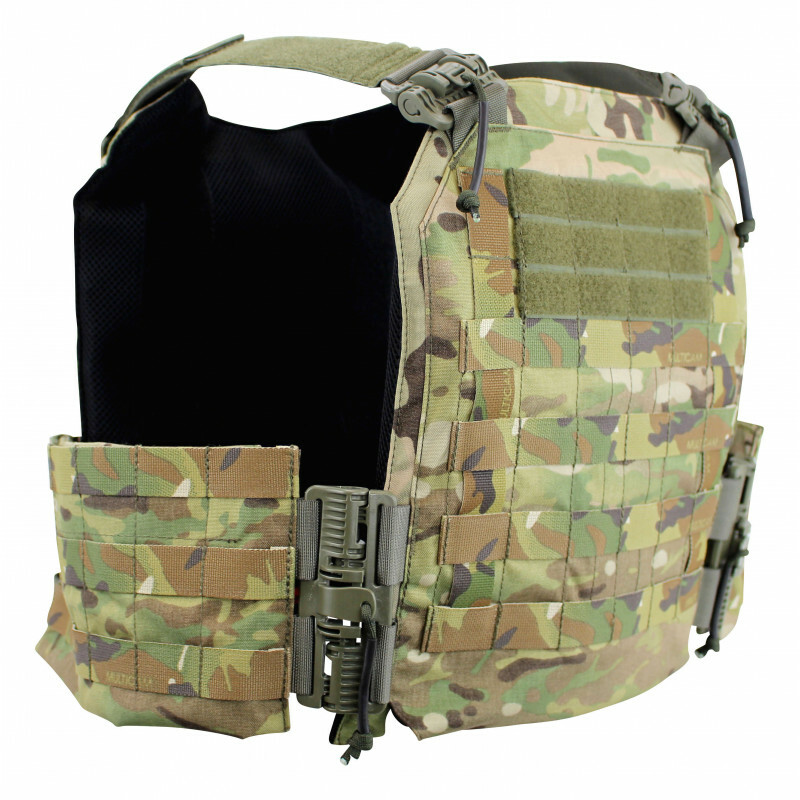 To do this, the Velcro surfaces are connected and then closed together with the plate pocket. 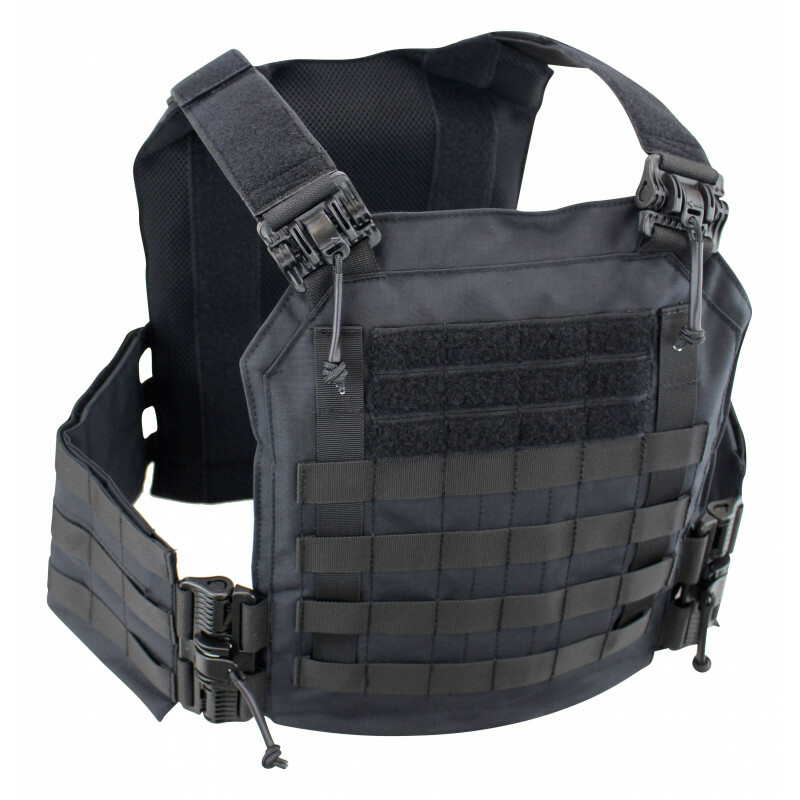 This keeps the space between torso and abdomen as small as possible.